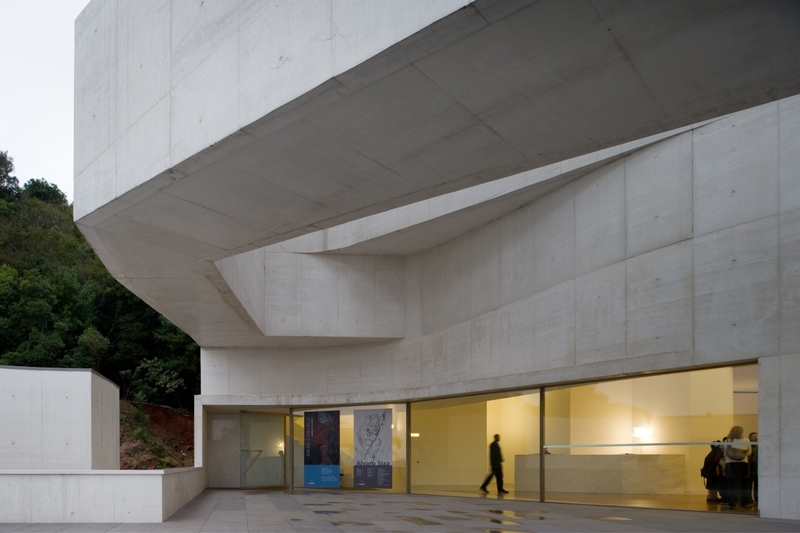 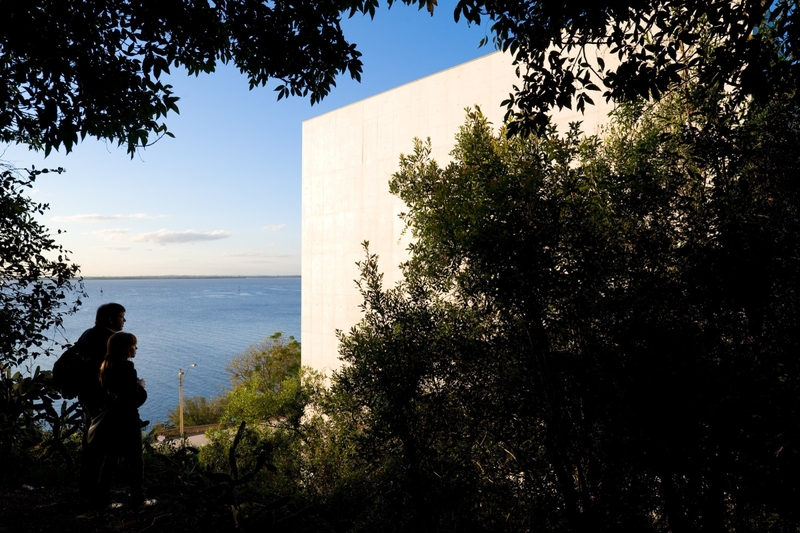 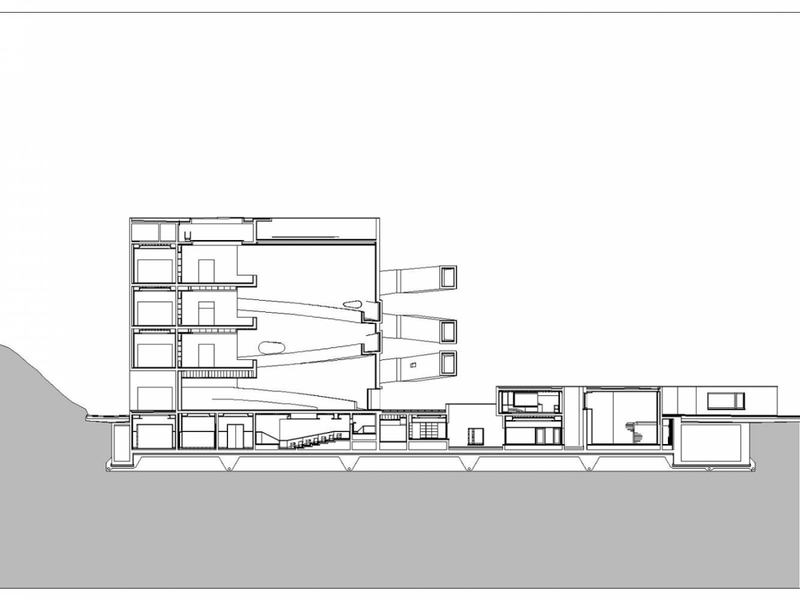 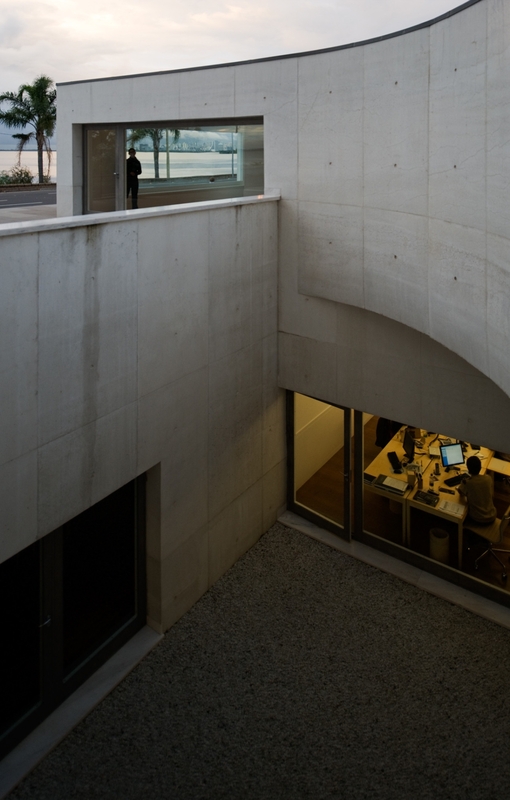 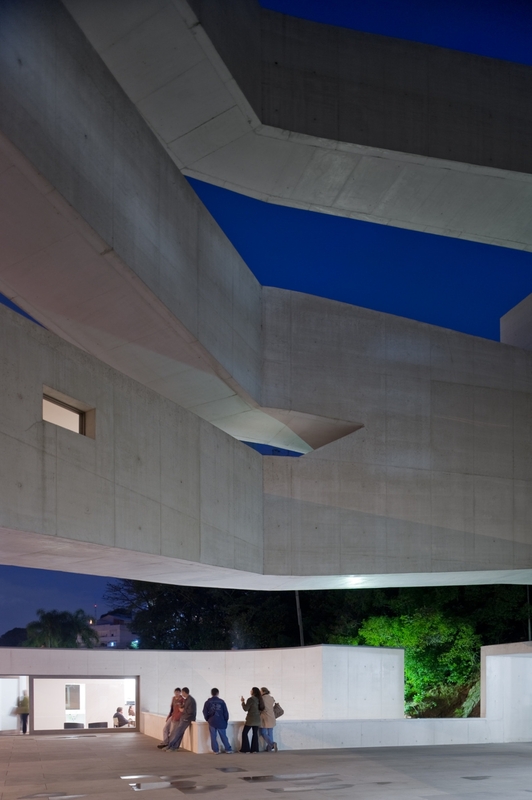 The new building of the Iberê Camargo Foundation is sited in a narrow plot, nearby the Guaíba River. 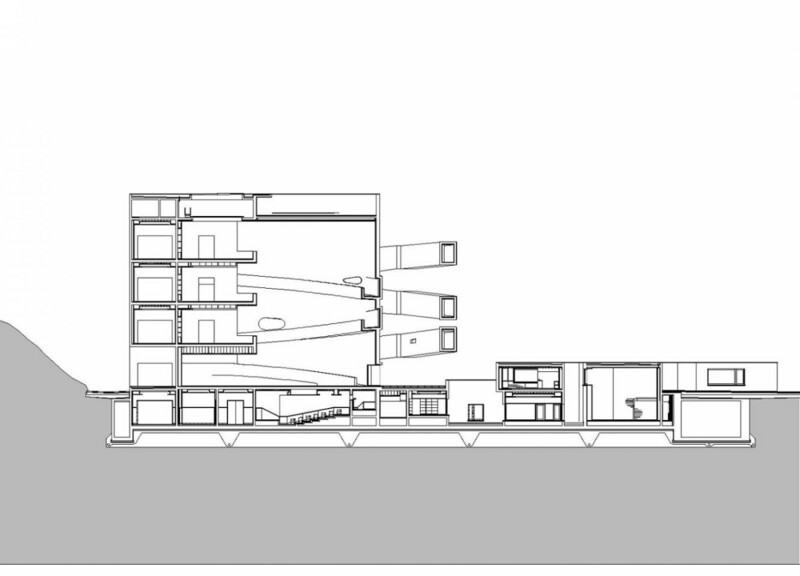 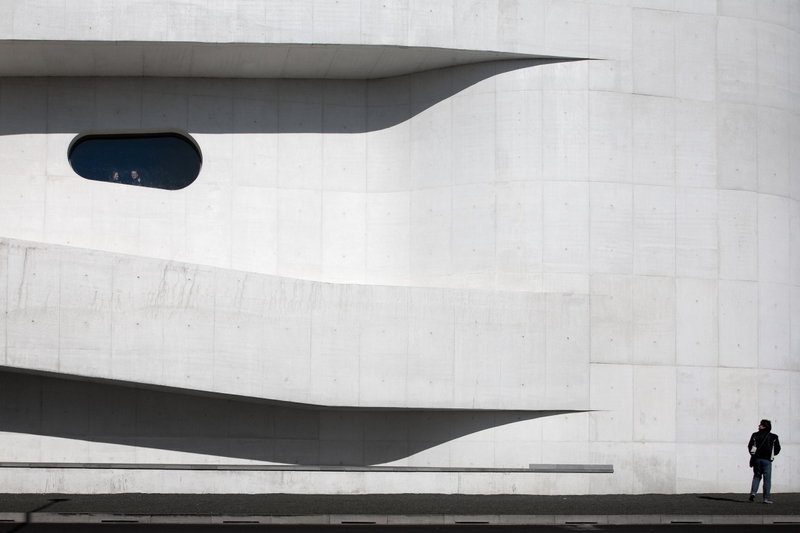 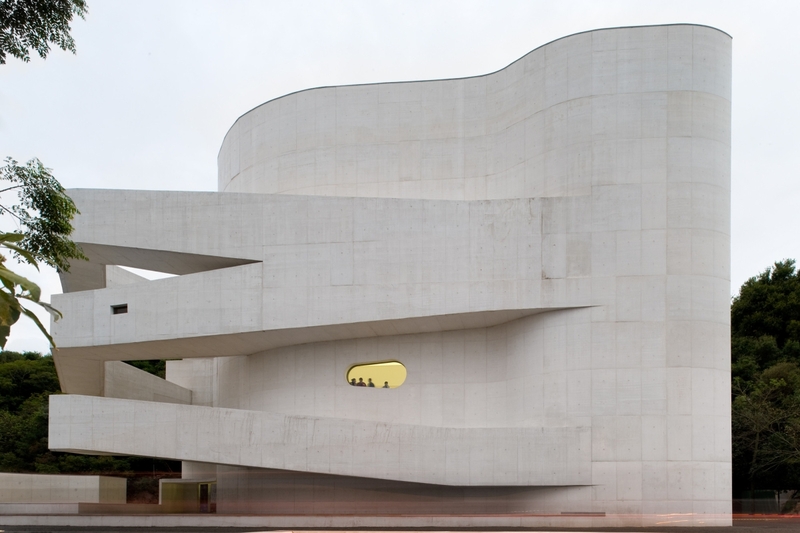 The museum is mainly defined by its vertical volume where the exhibition rooms are located, from which are raised suspended, undulating arms in white concrete – somewhat resonant of the iconic concrete reveries of Lina Bo Bardi. 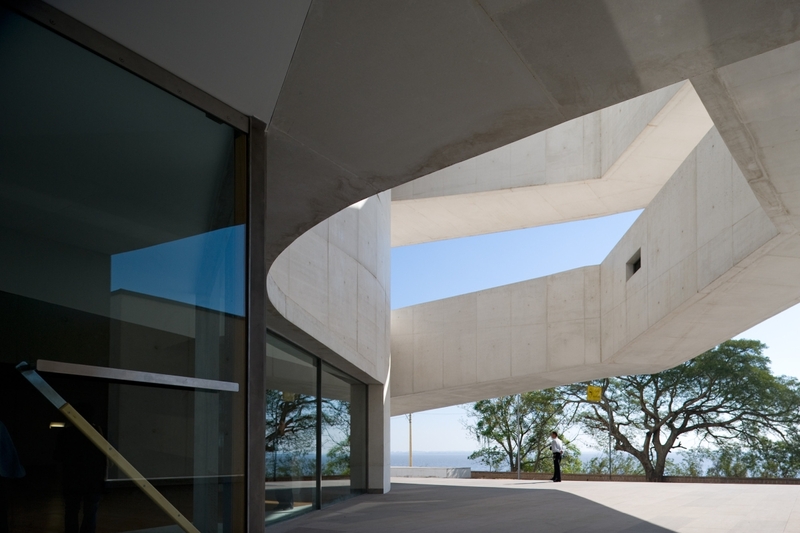 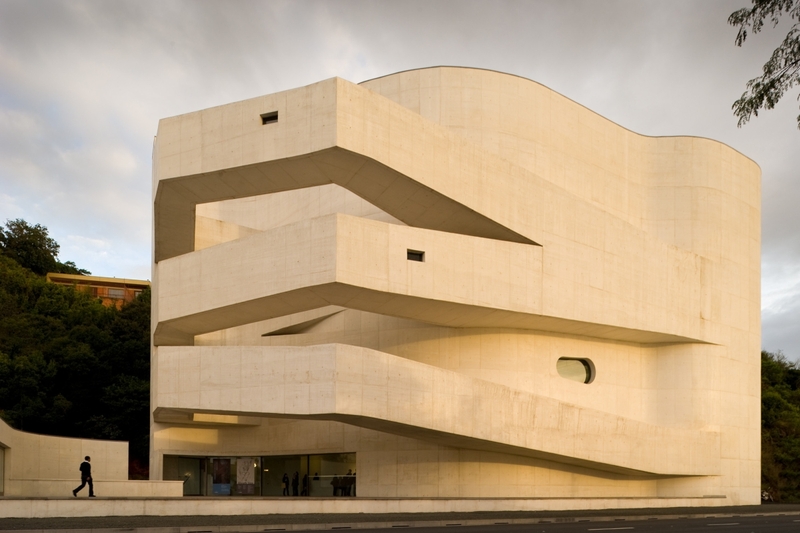 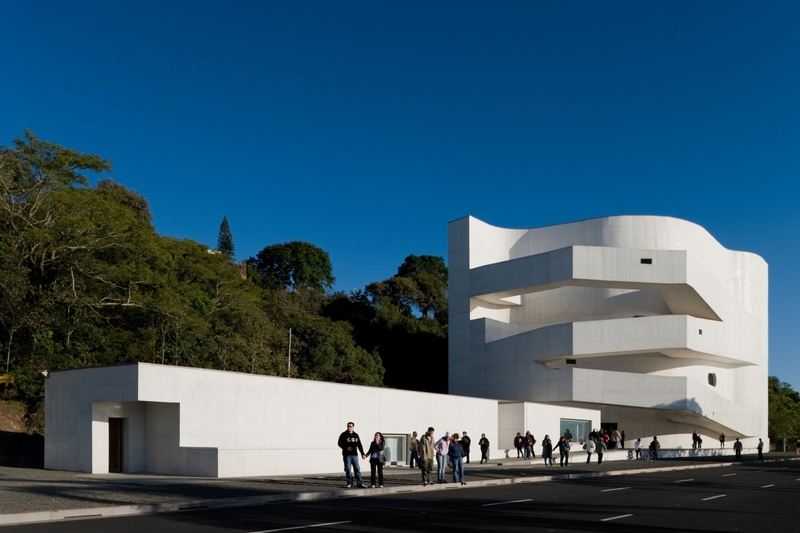 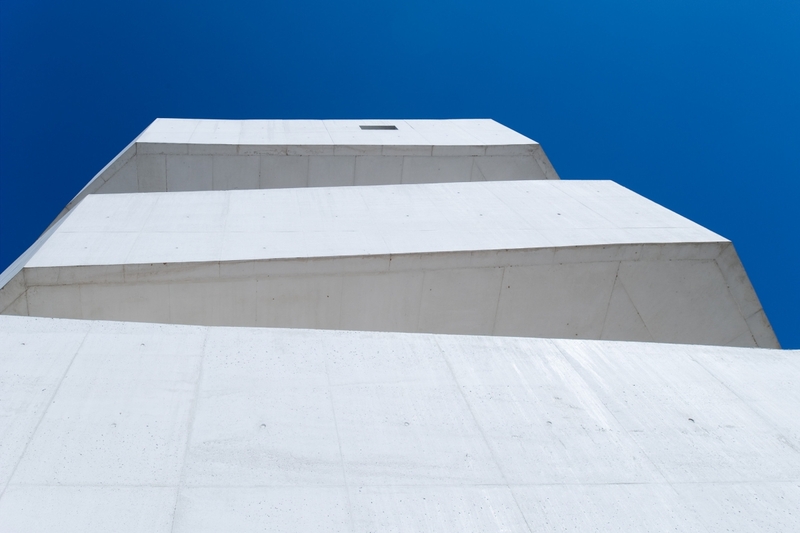 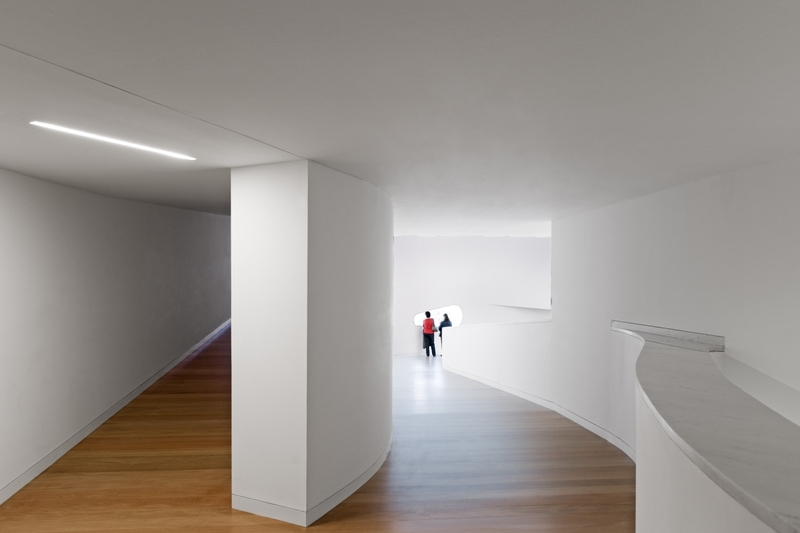 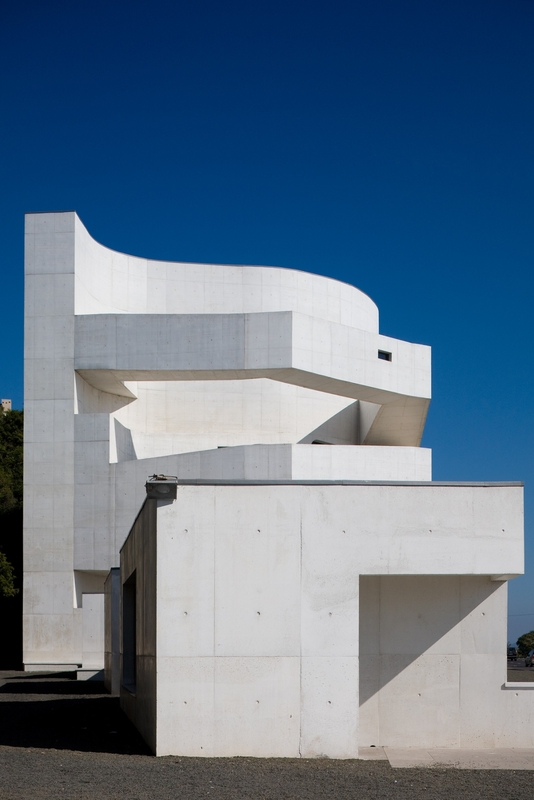 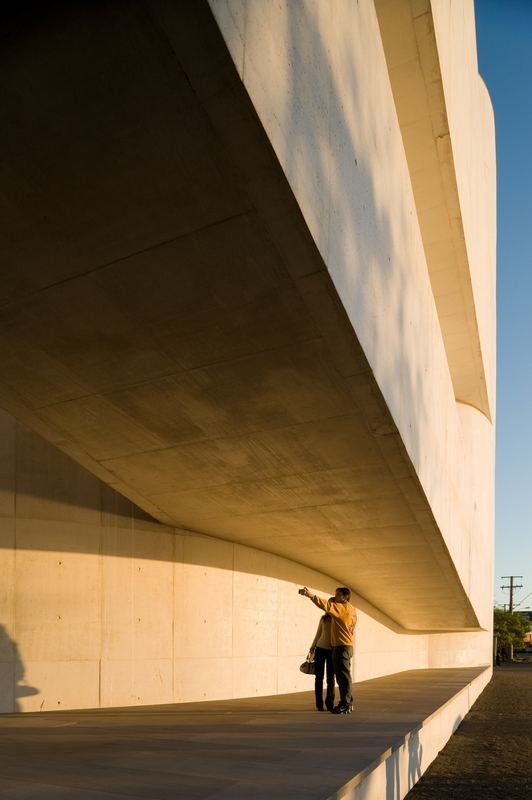 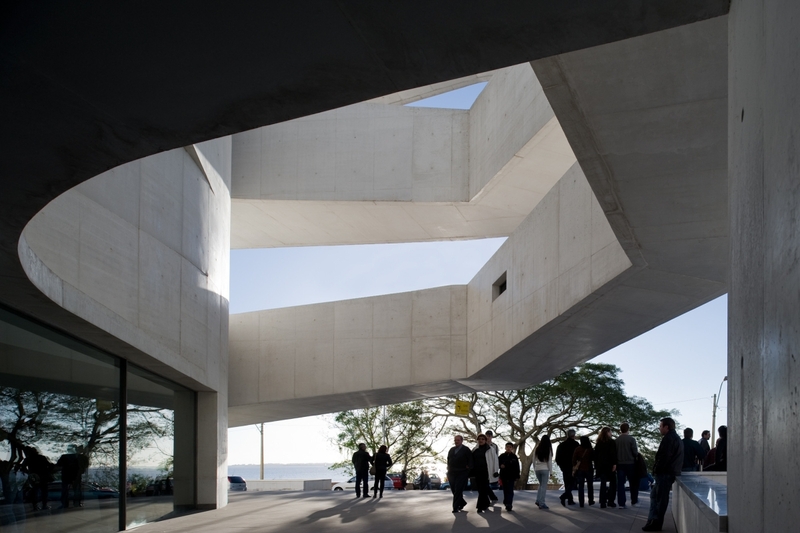 This is the first project by Portuguese architect Álvaro Siza built in Brazilian territory and was honoured by the Venice Architecture Biennale with the Golden Lion award in 2002. 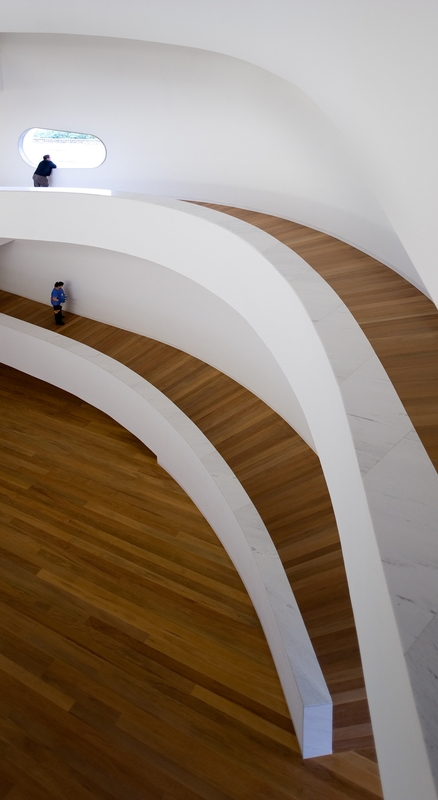 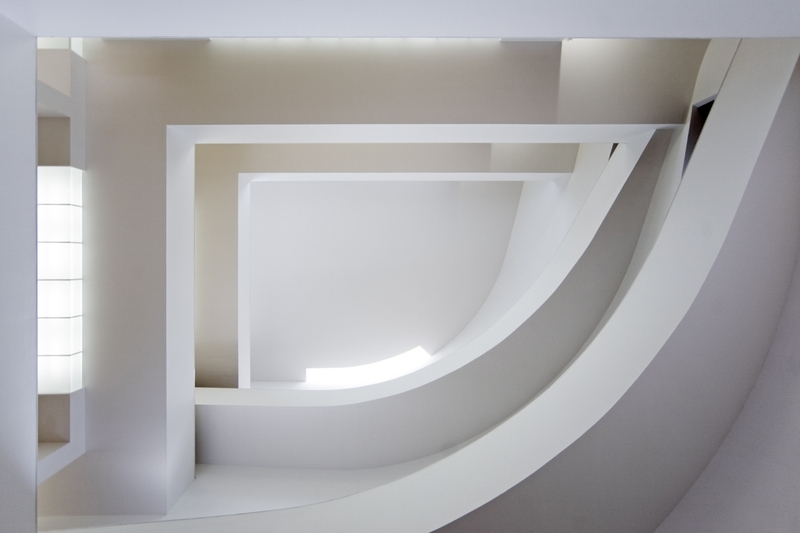 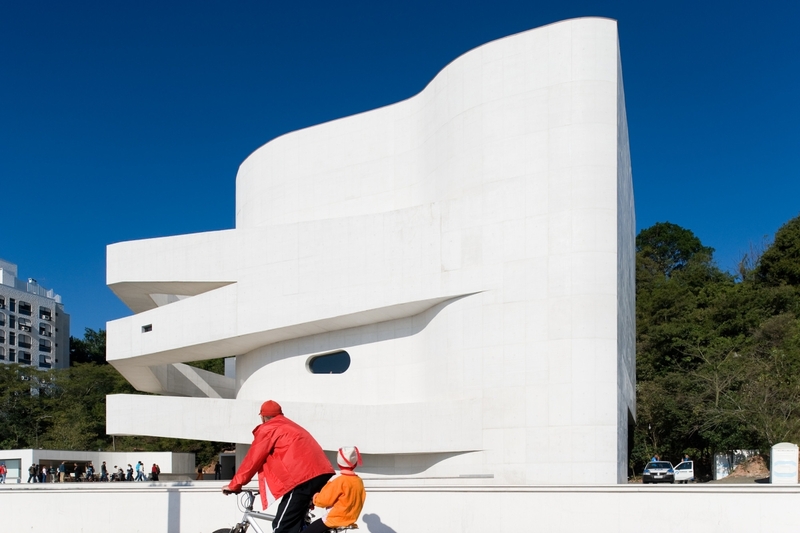 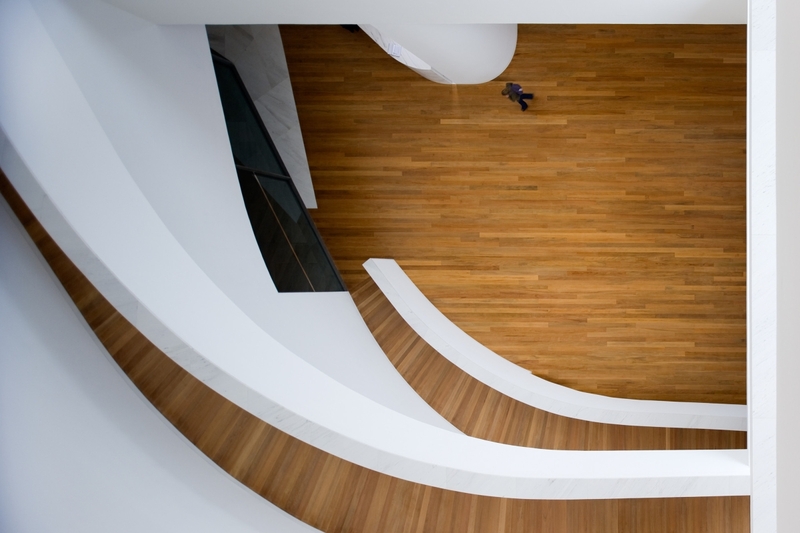 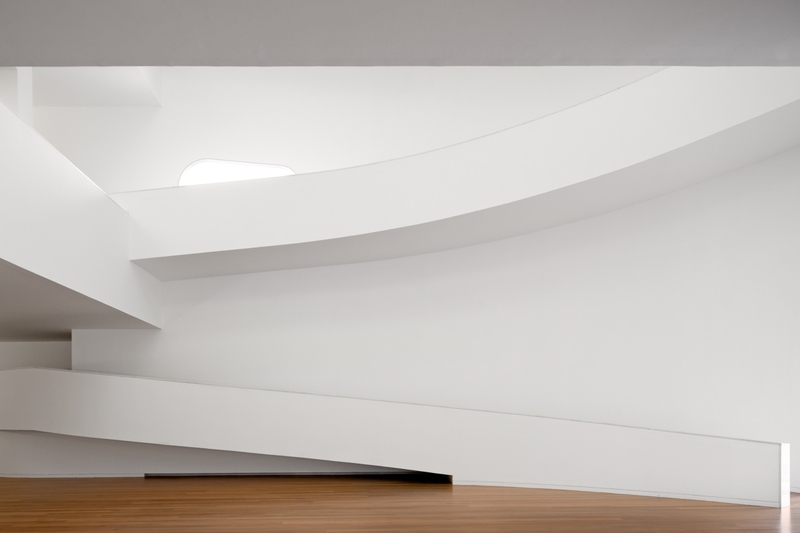 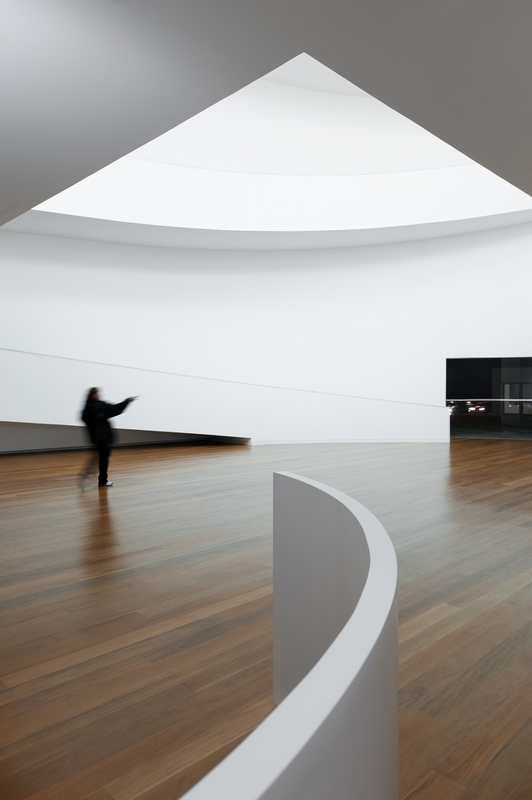 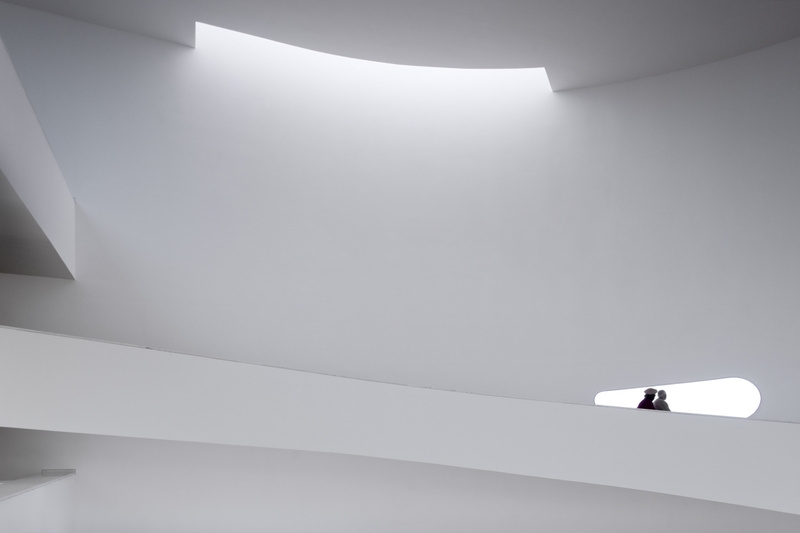 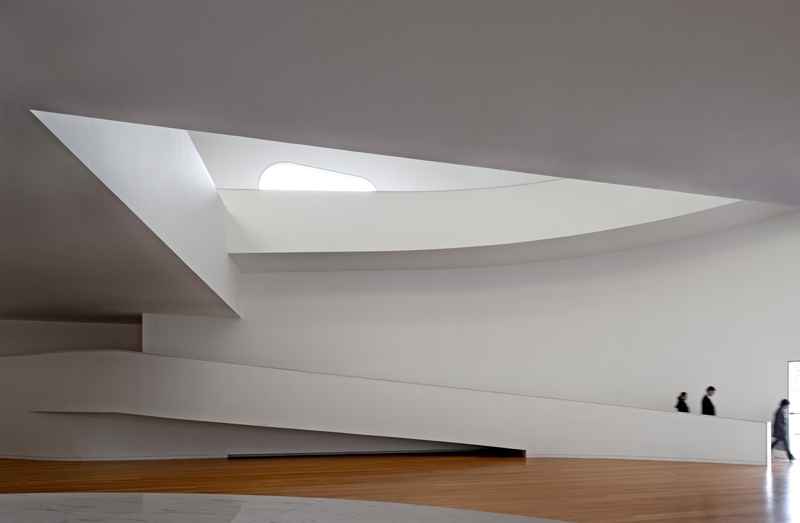 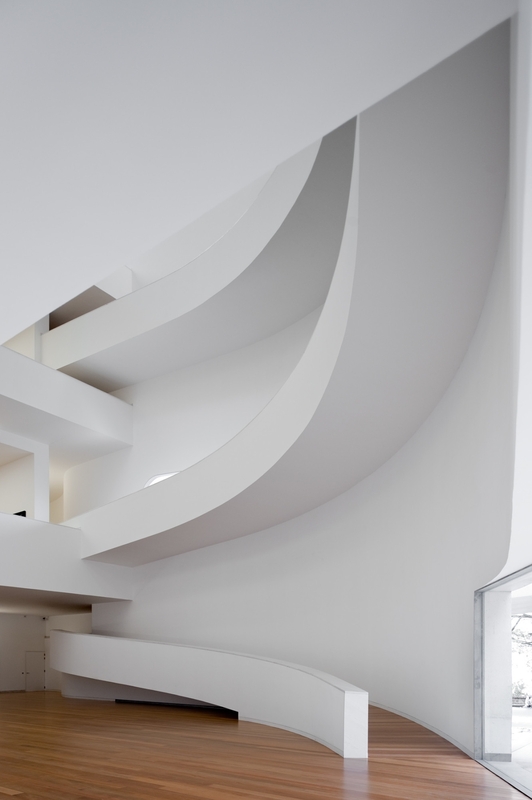 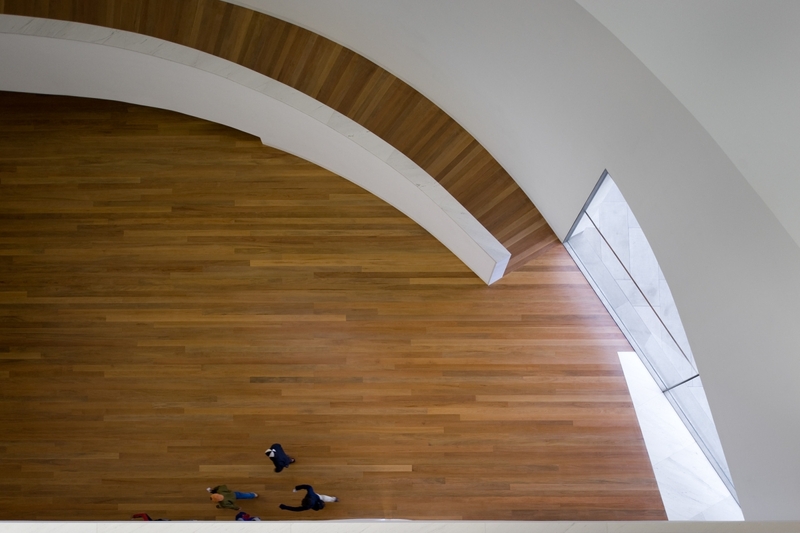 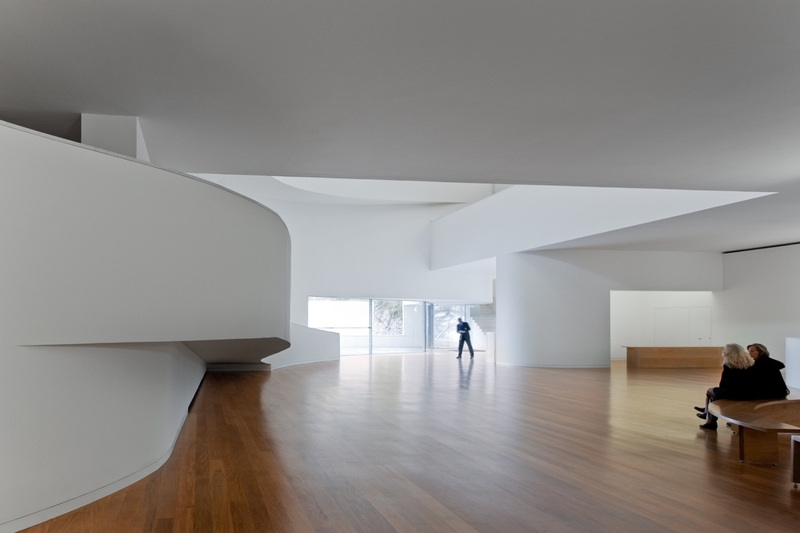 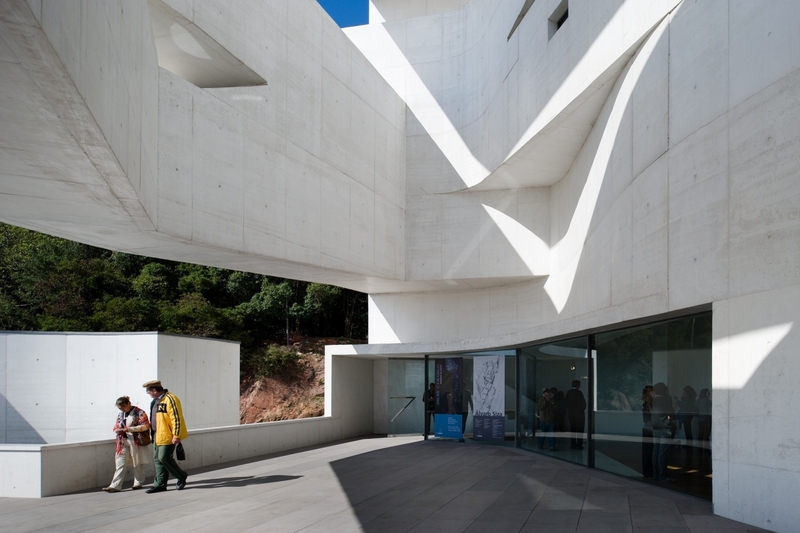 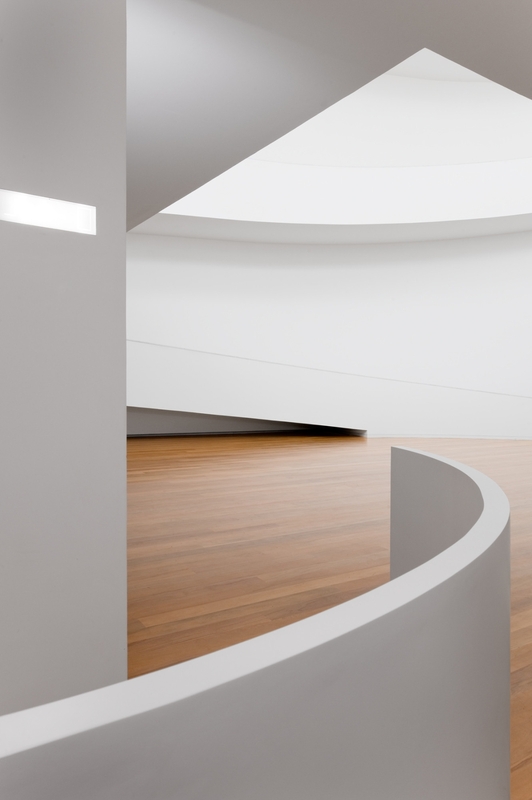 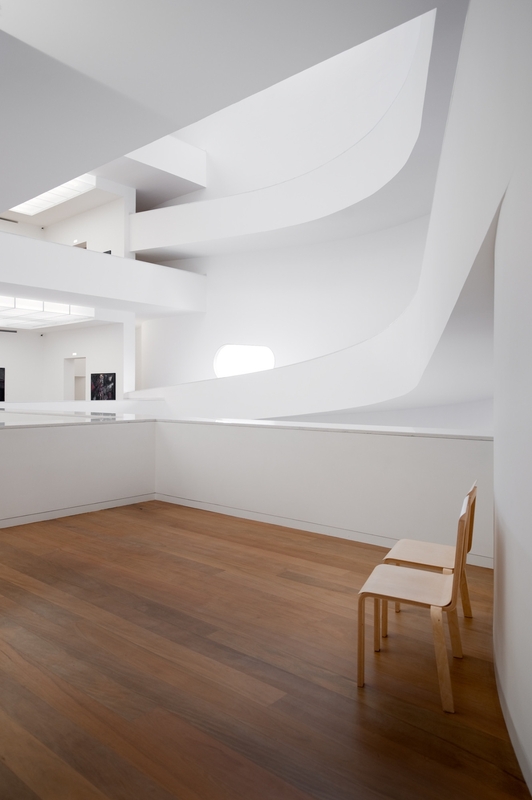 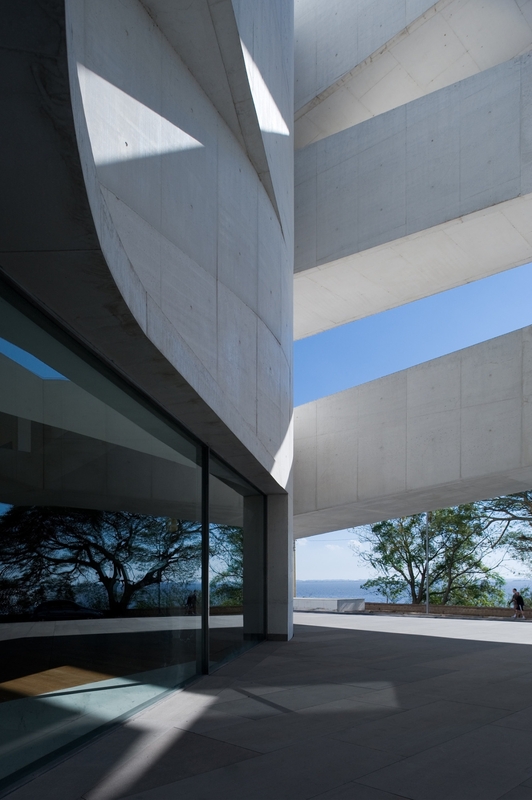 A large exhibit of work by the painter Iberê Camargo, displayed in the building’s nine art galleries, marks Porto Alegre’s inauguration of the first project by Portuguese architect Álvaro Siza in Brazil. 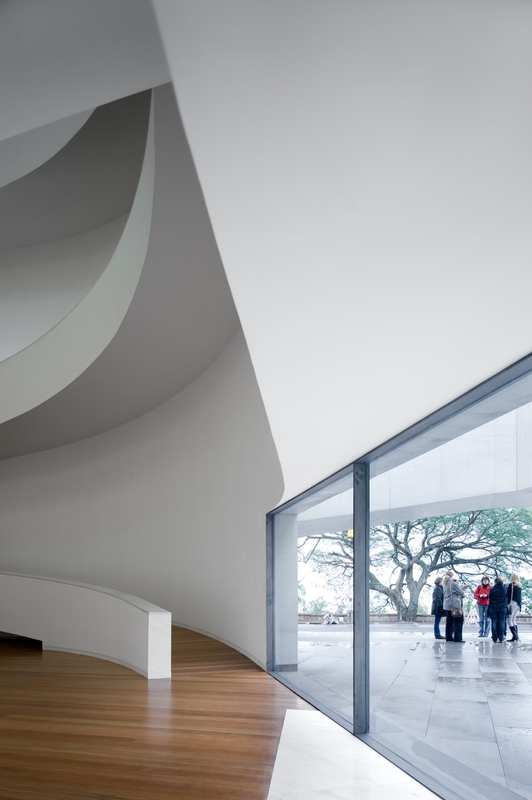 The Portuguese architect Álvaro Siza returned to Porto Alegre on the beginning of this year for one of his final visits to his first building designed in Brazil, which will house more than half a century’s output of paintings, drawings, gouaches and prints by Iberê Camargo, who is considered to be one of Brazil’s most important artists of the 20th century. 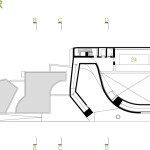 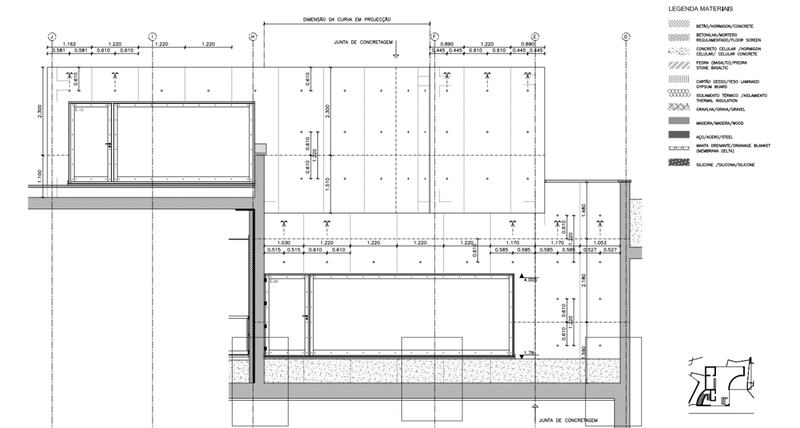 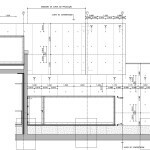 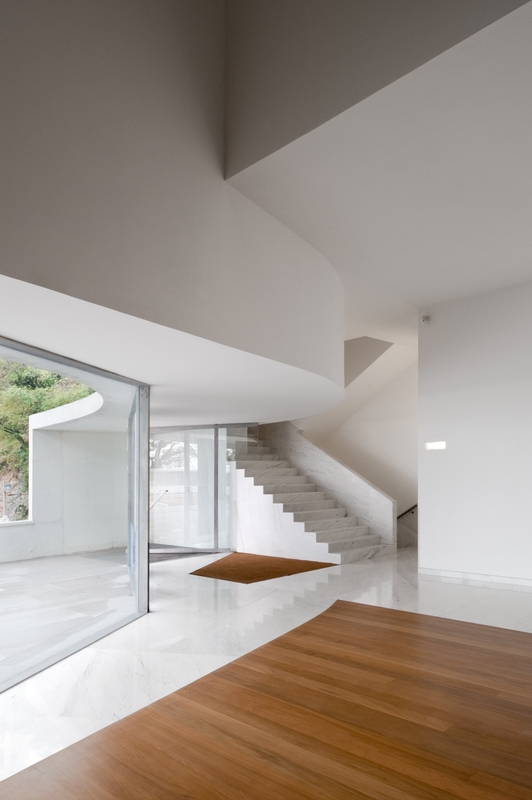 The architect was in the state capital to concern himself in the final details of the project, such as the development and production of the building’s furnishings, which he has also designed. 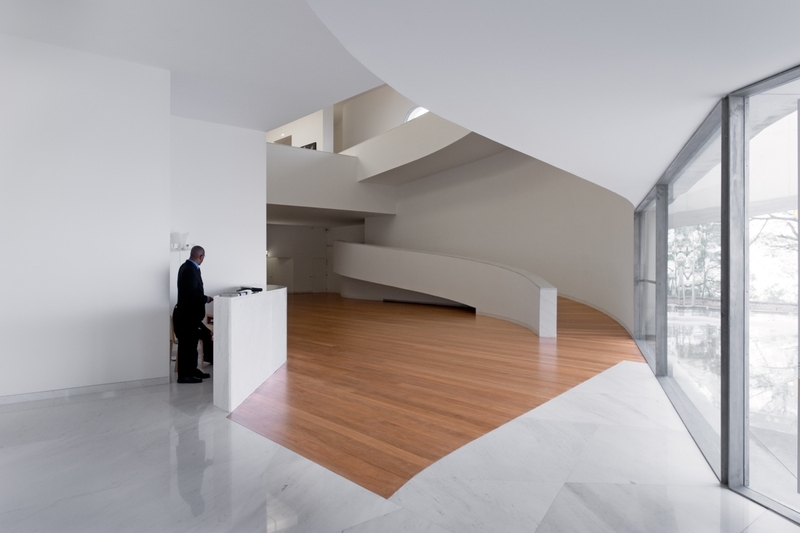 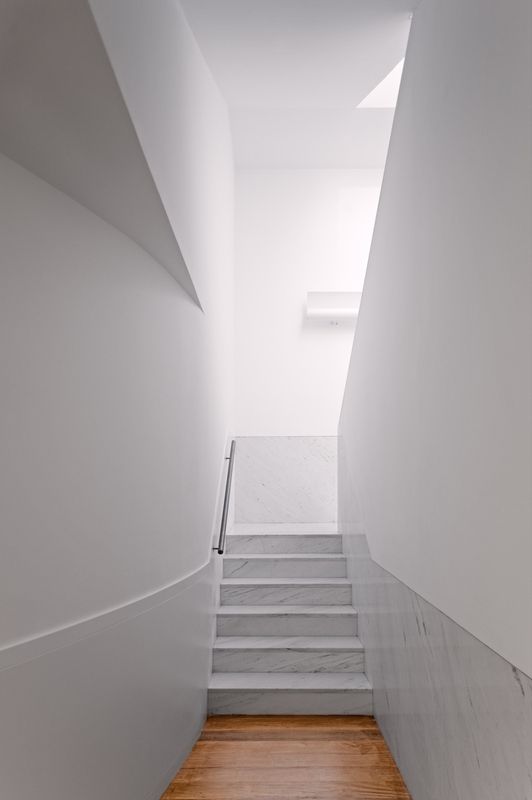 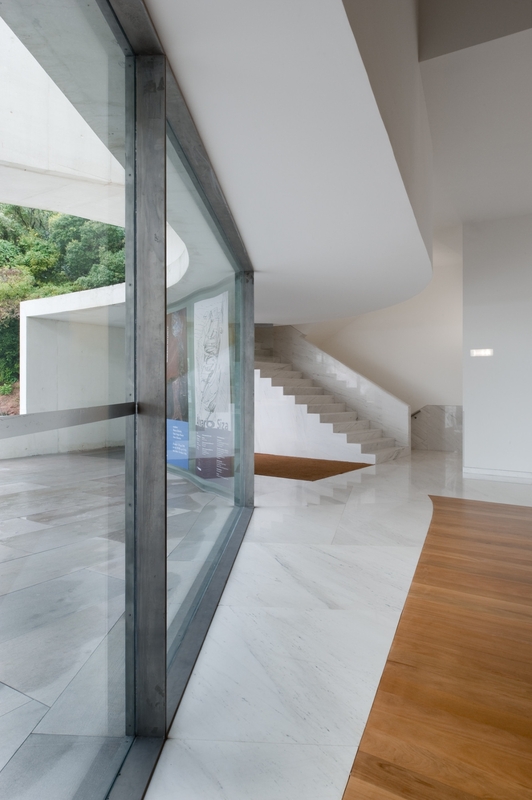 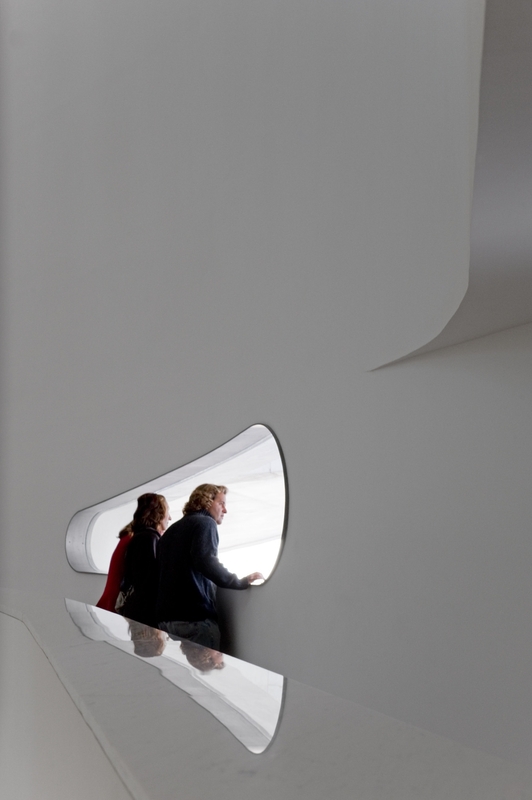 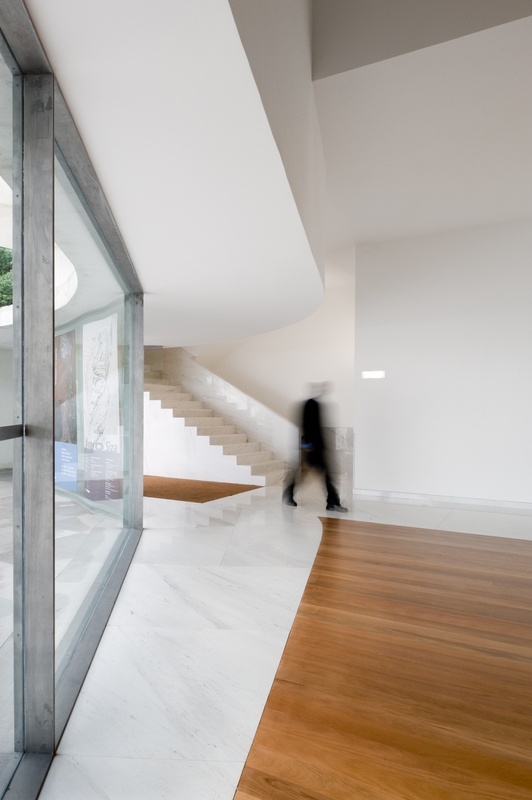 The Portuguese architect is meticulous about every detail of the building, believing that harmony is fundamental in a work. 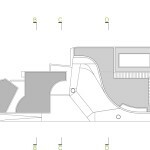 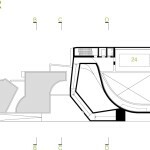 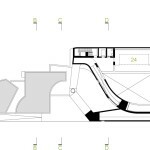 “Although each detail is important, the governing feature is the totality. 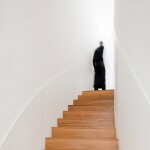 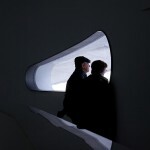 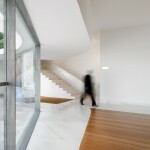 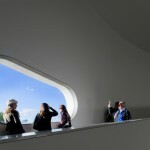 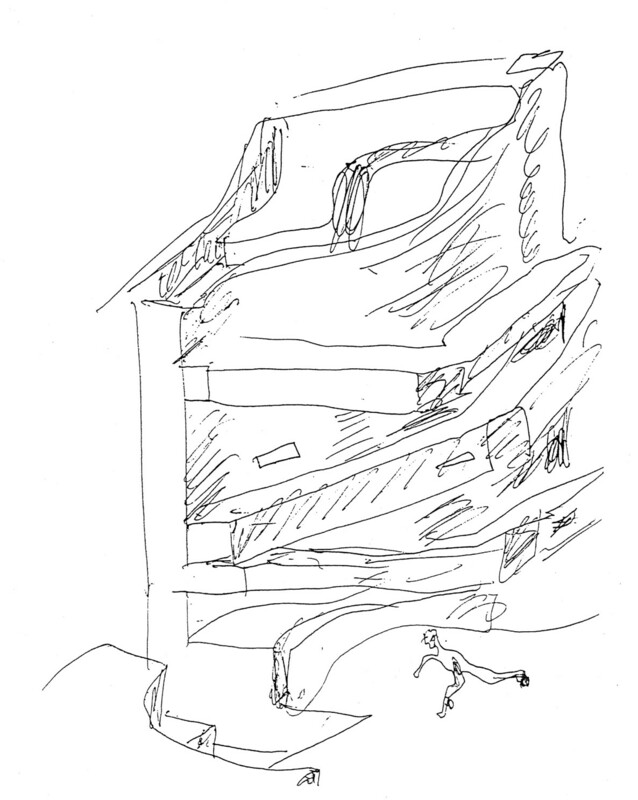 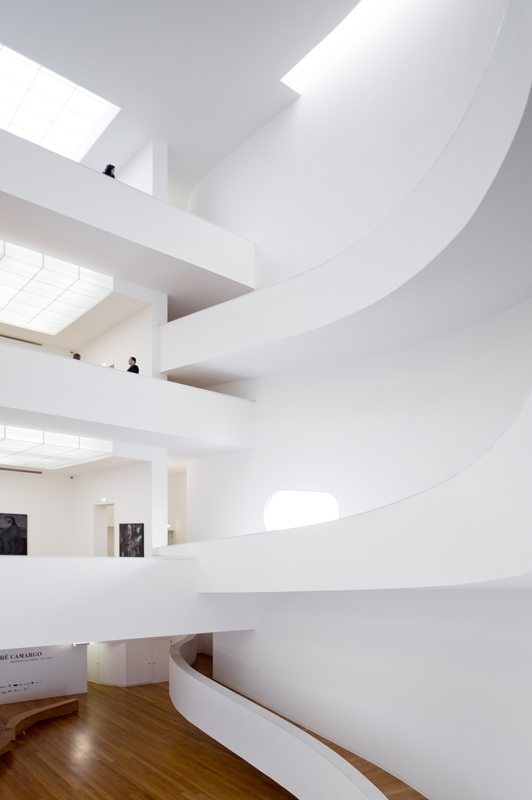 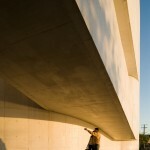 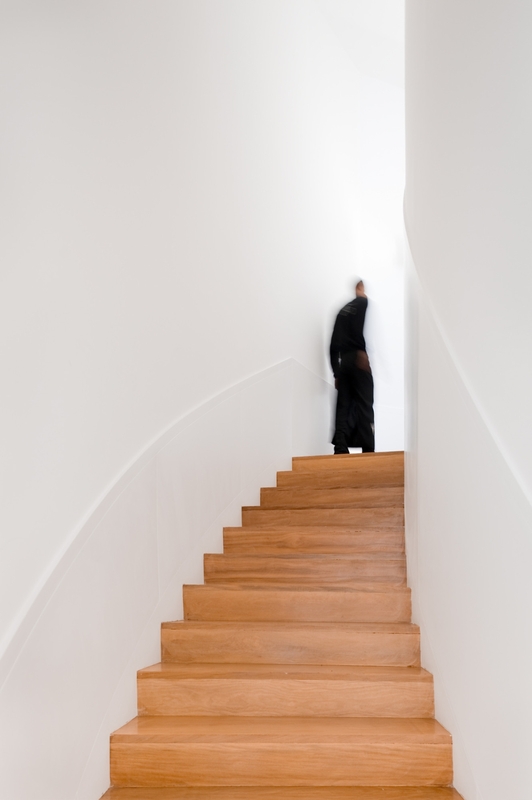 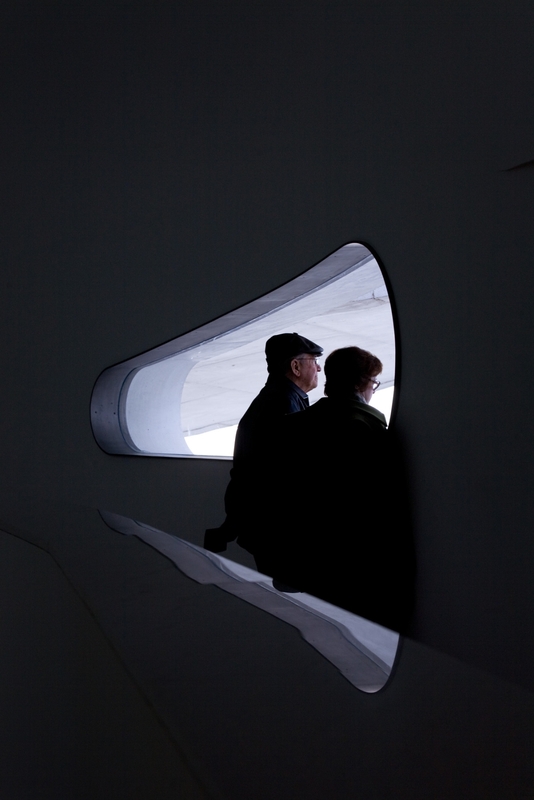 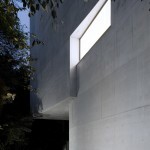 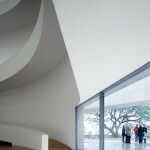 Equilibrium is the underlying quality for architecture,” he says. 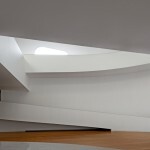 The new Iberê Camargo Foundation headquarters opens in the end of may and is intended to preserve the collection of more than four thousand works by the master of Brazilian expressionism and to be a major center for discussion, research and exhibition of modern and contemporary art, placing Porto Alegre and Brazil on the route of the world’s major centers of culture. 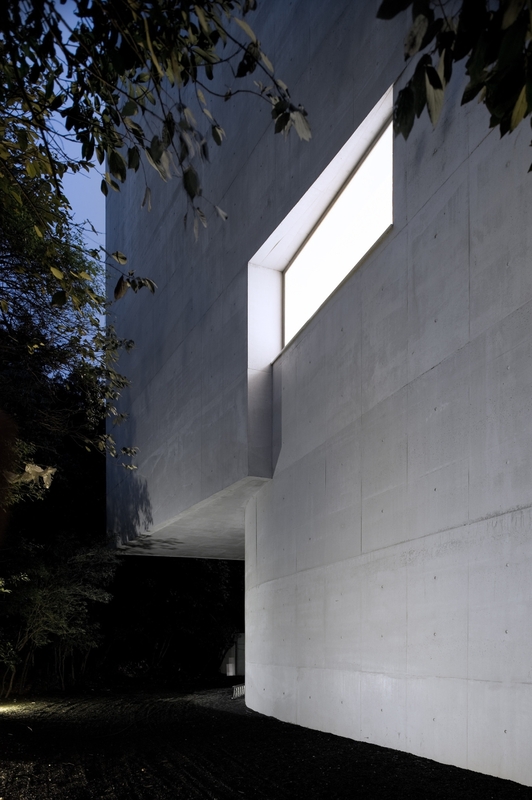 In 2002, The project won the biggest international architecture prize – The Golden Lion Award – at the 2003 Venice Architecture Biennial. 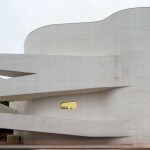 The maquette toured to the main state capitals in Brazil, together with a touring exhibition of Iberê’s work in 2003 -2004. 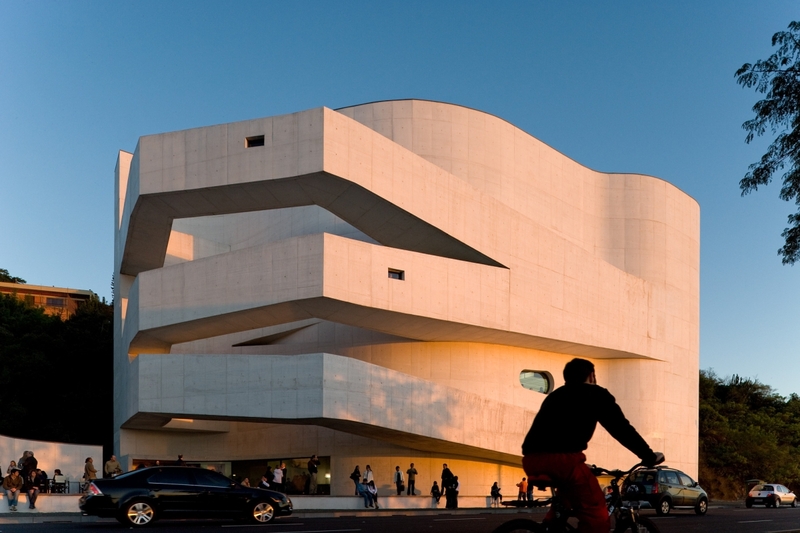 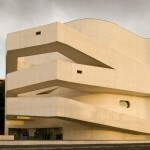 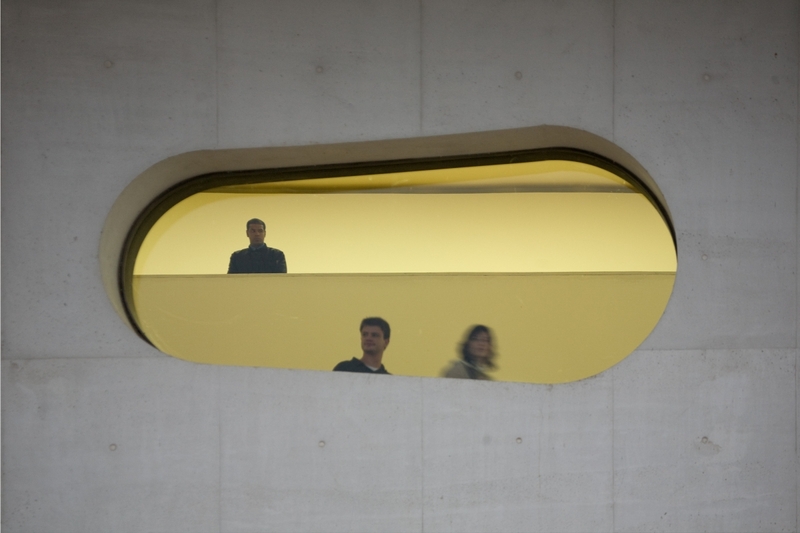 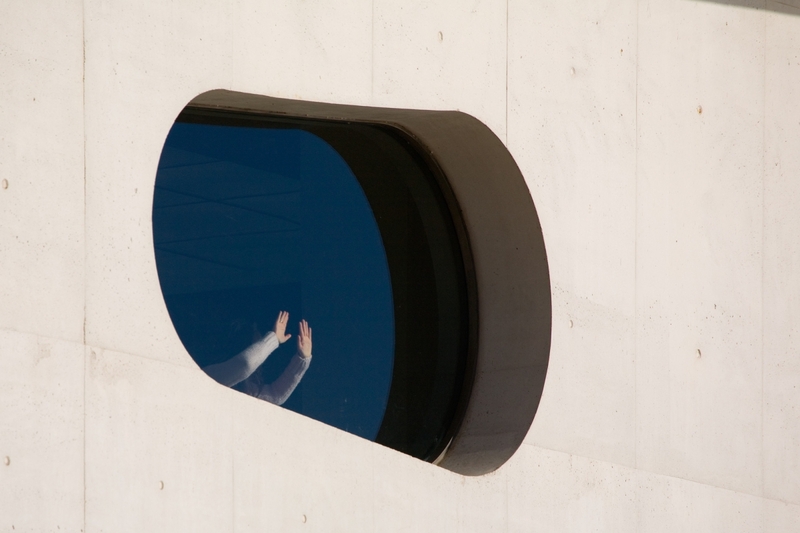 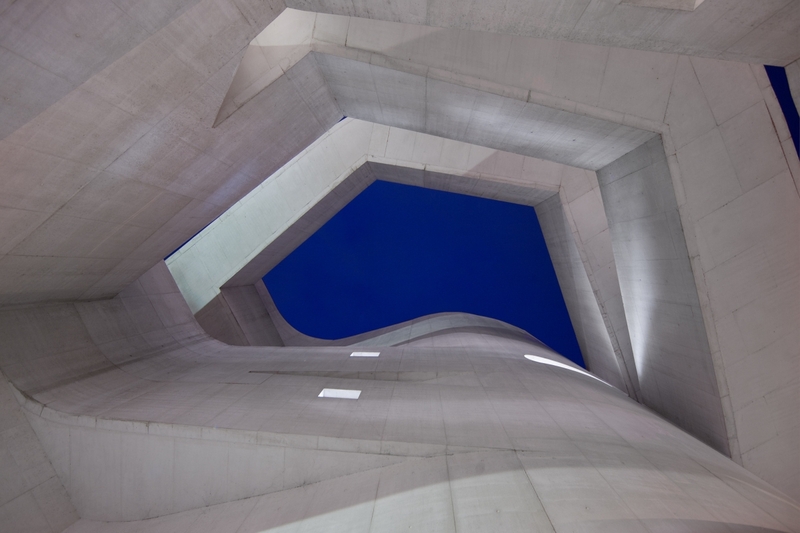 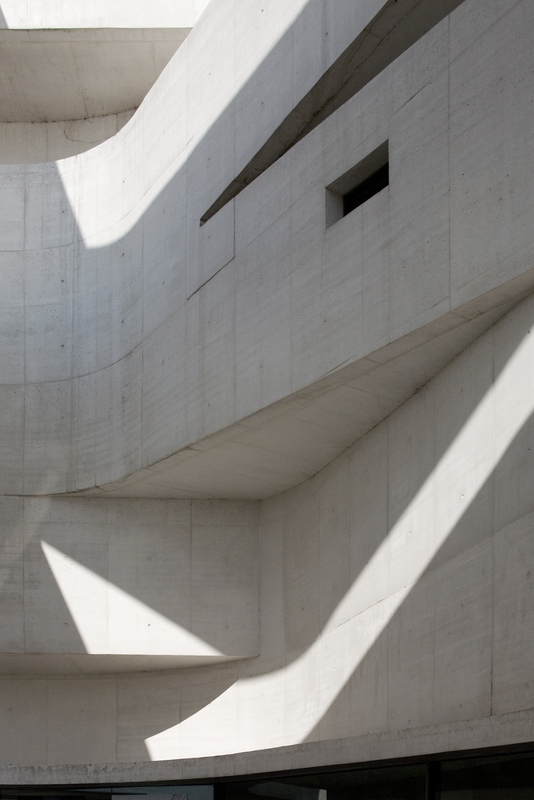 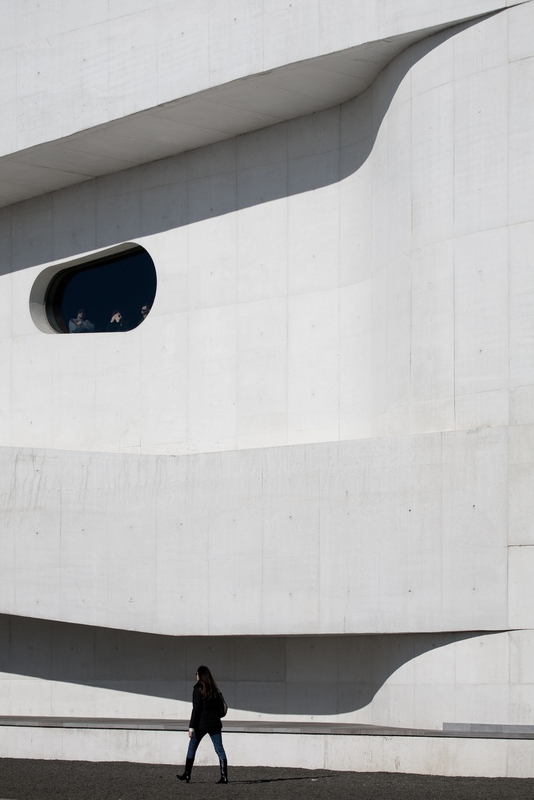 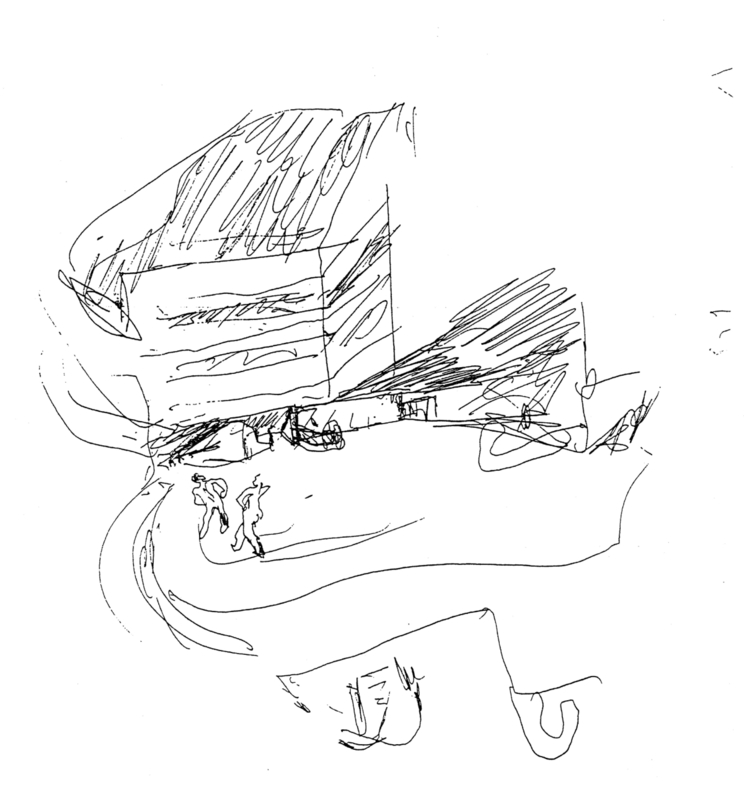 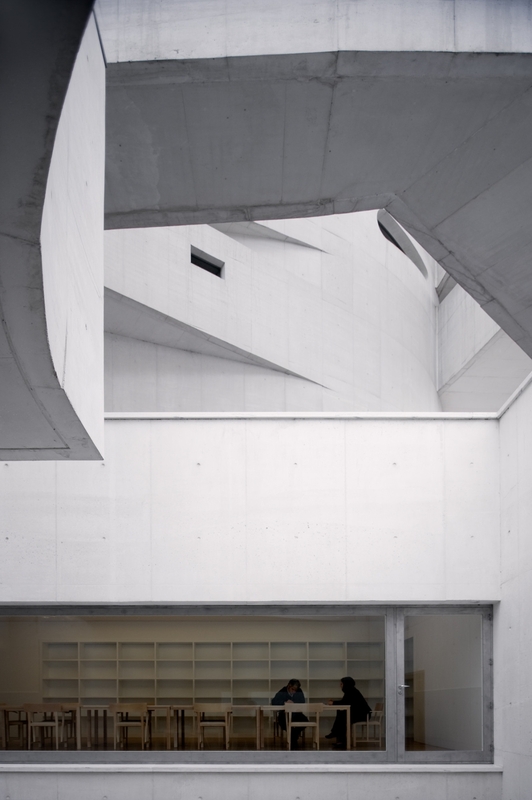 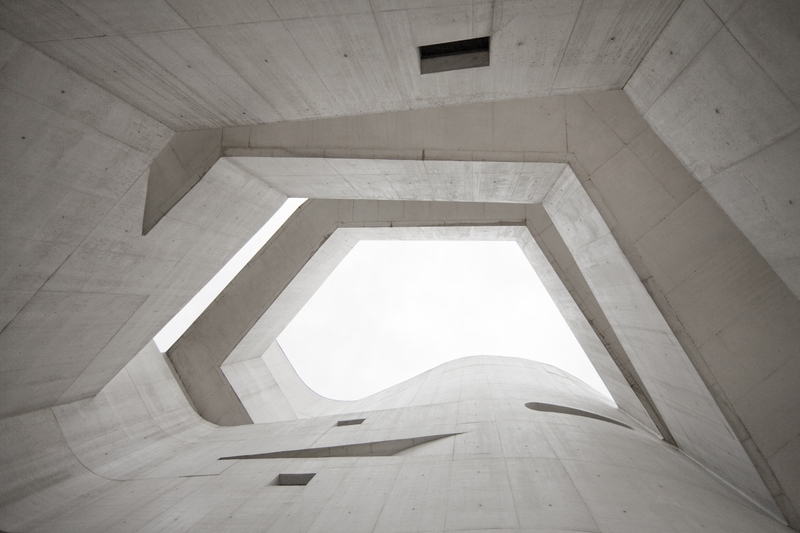 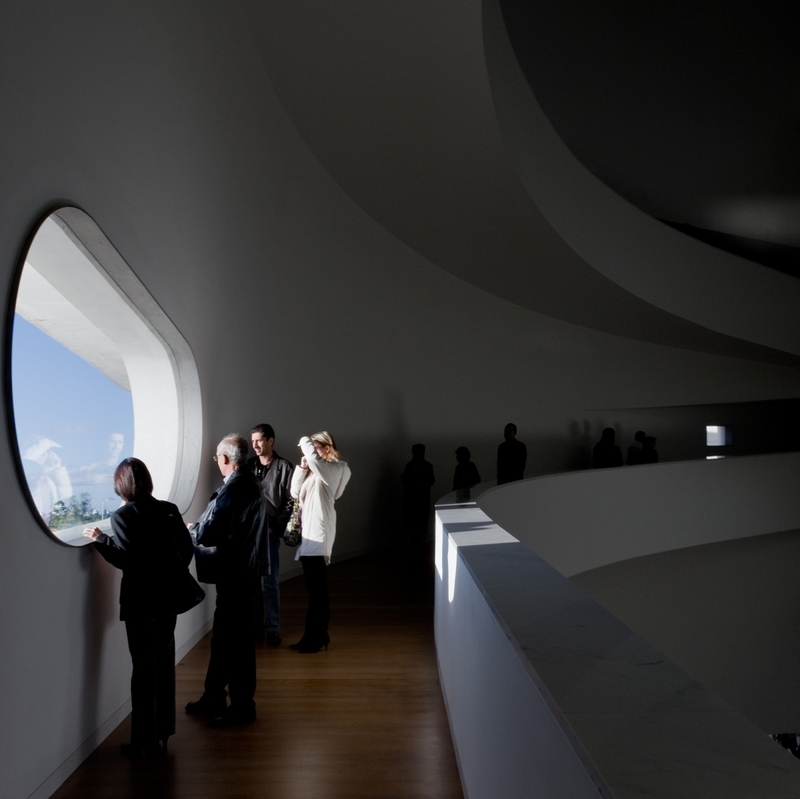 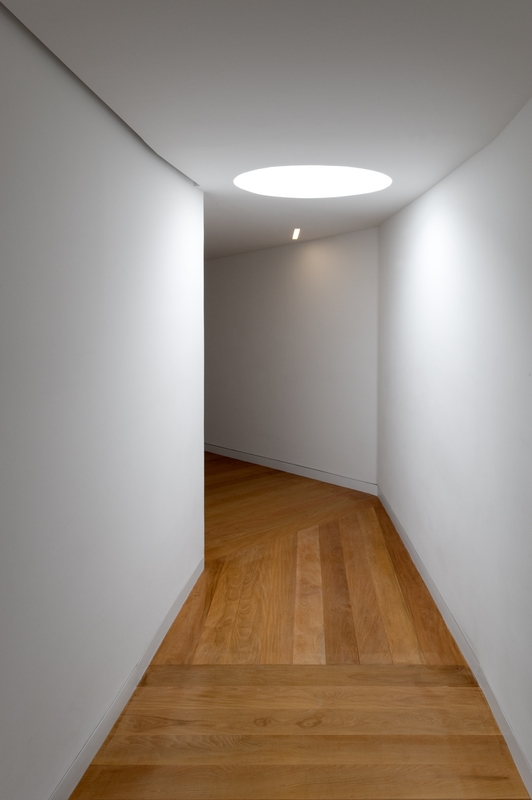 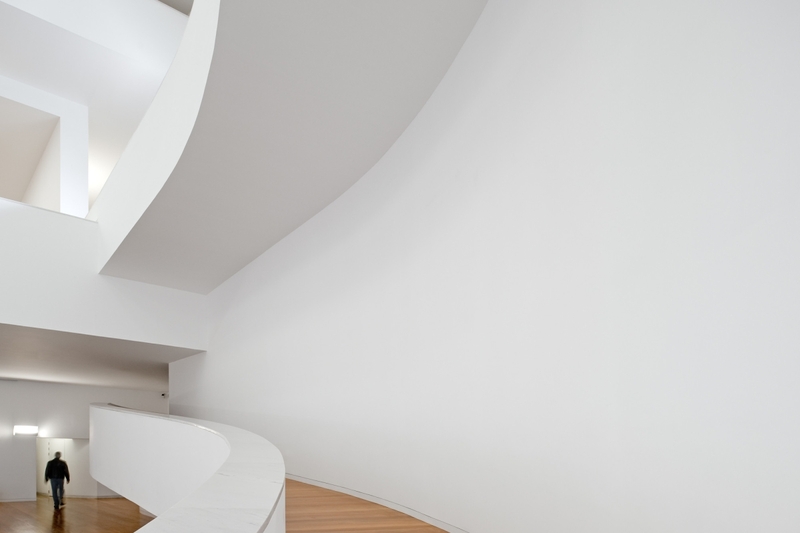 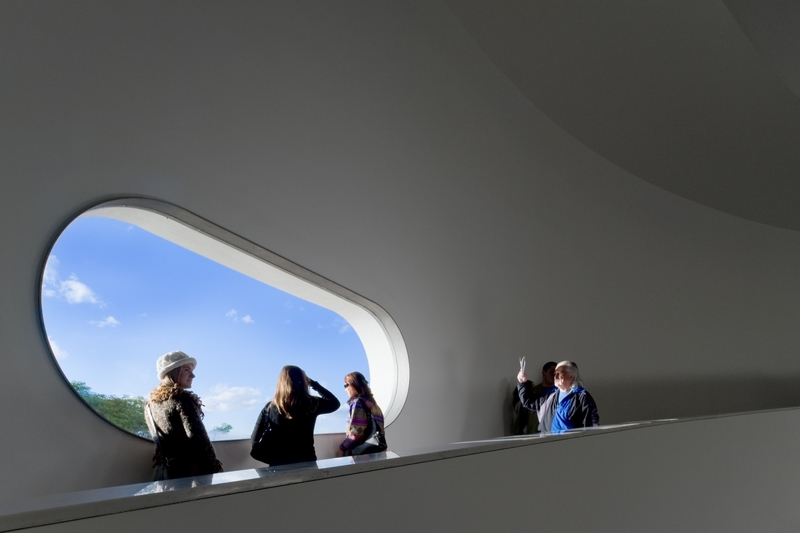 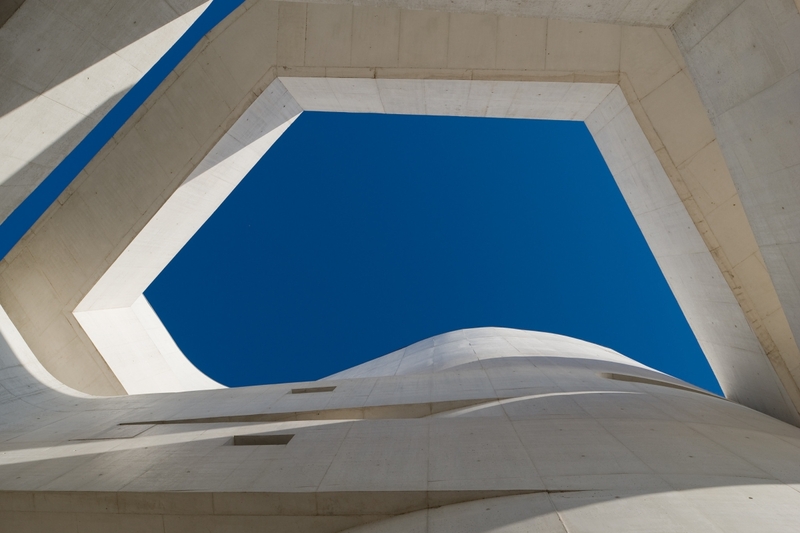 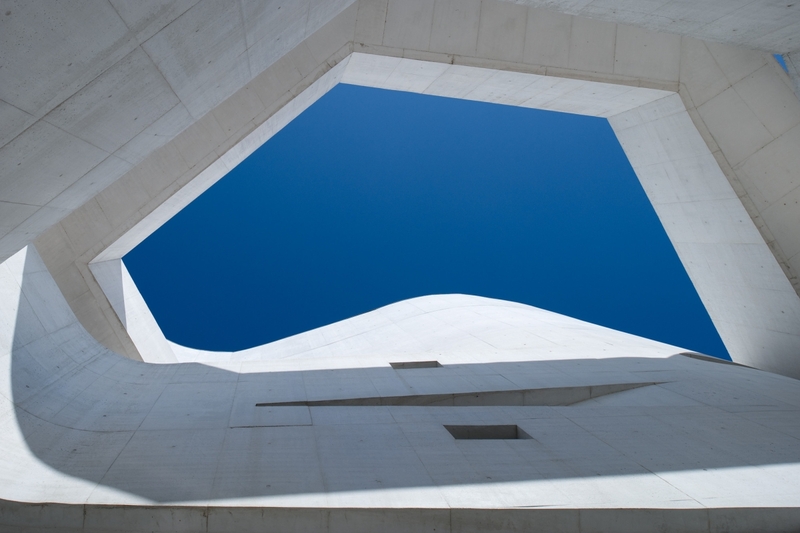 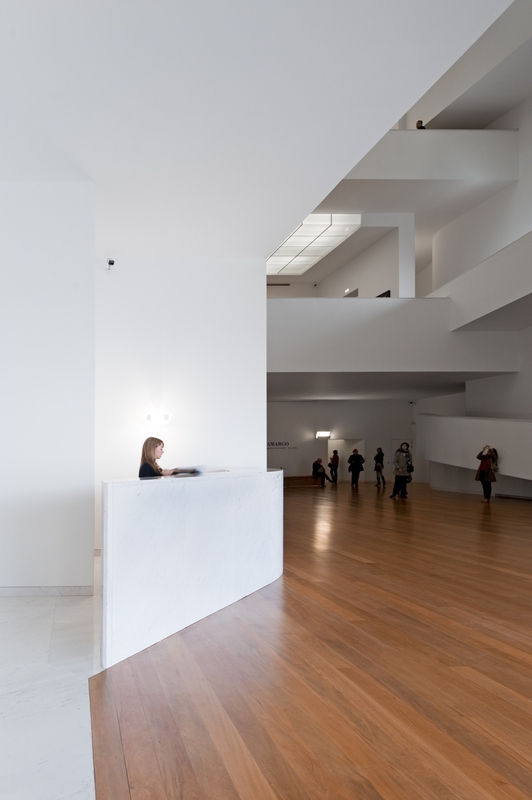 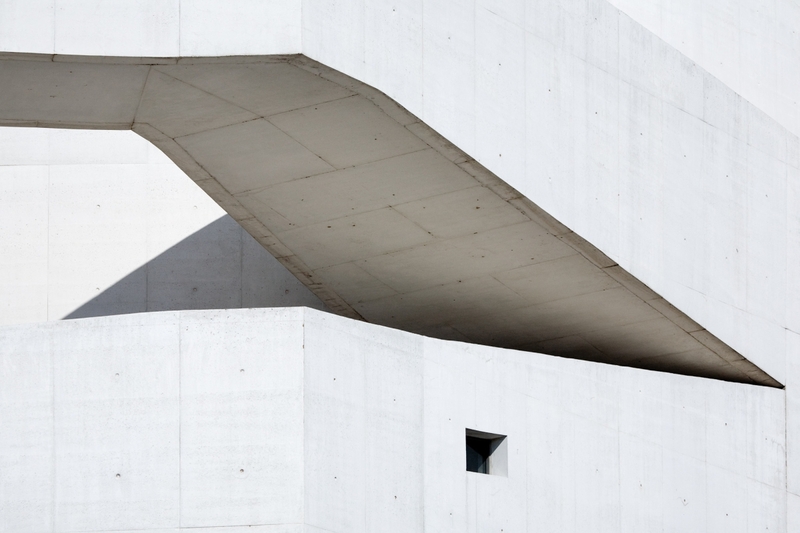 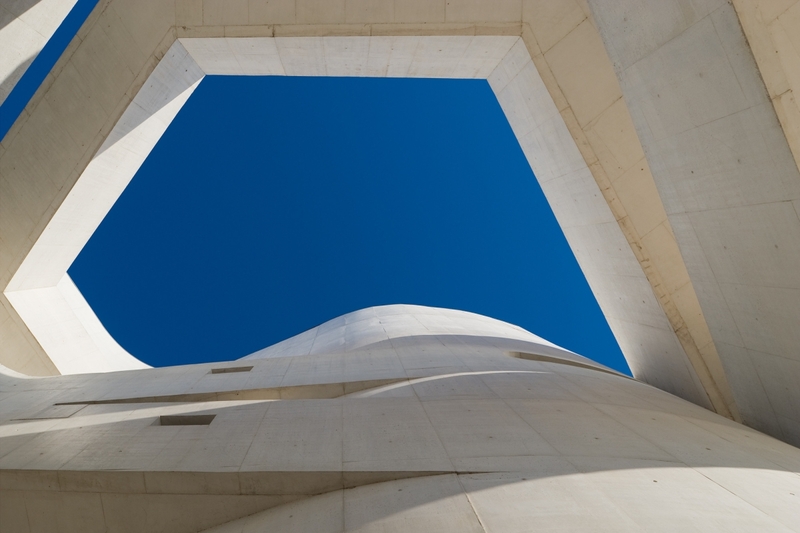 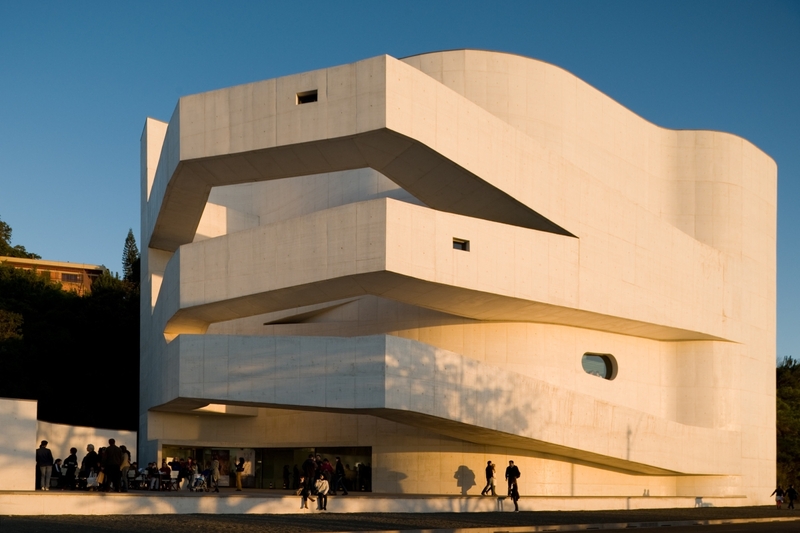 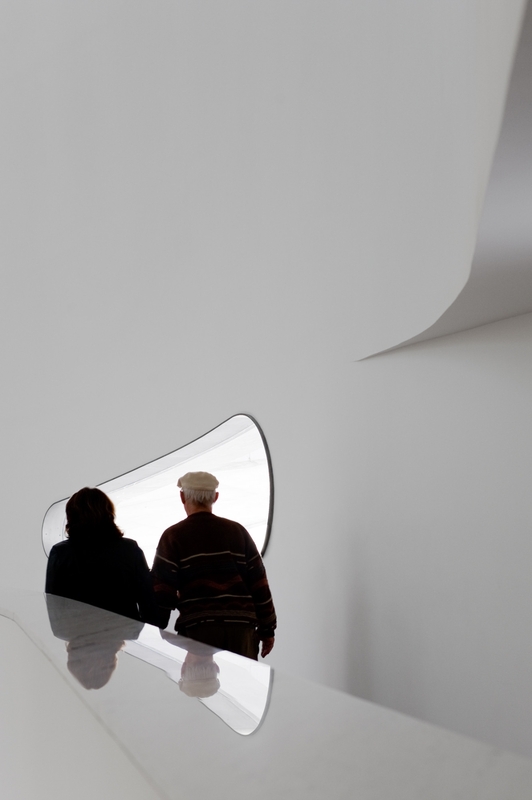 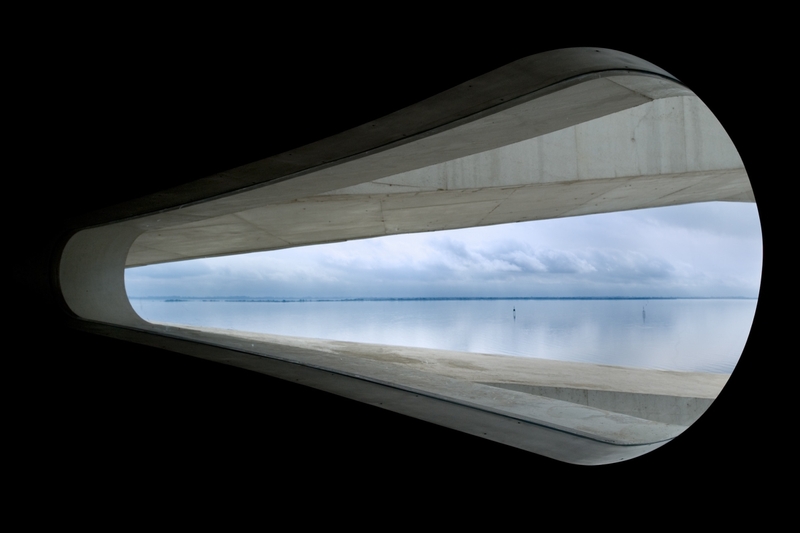 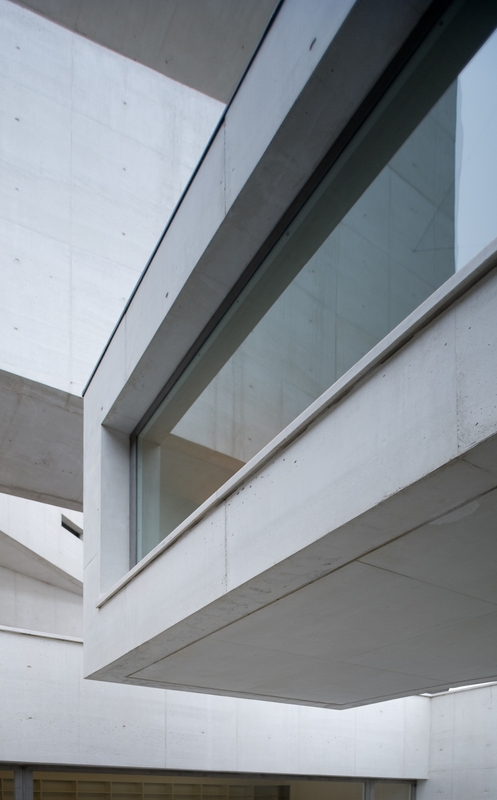 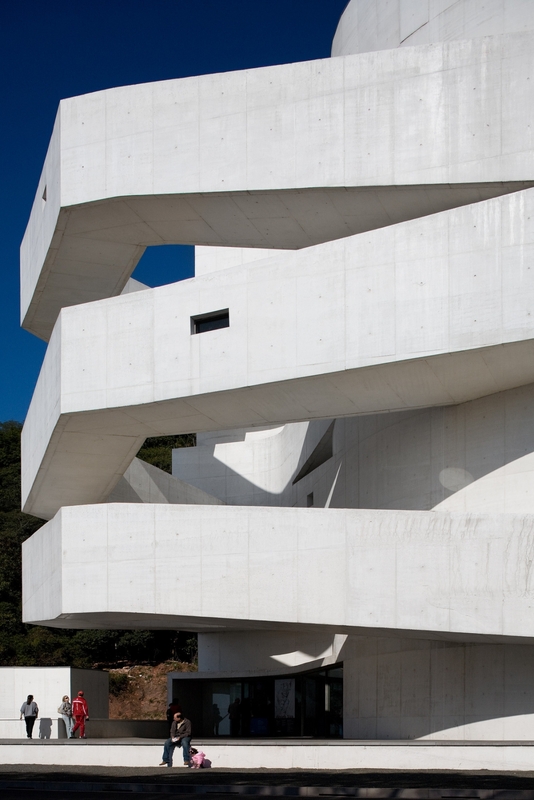 It has also been to the Milan Triennale at the Museum of Fine Art in Bordeaux, and is included in a touring exhibition of Álvaro Siza’s work which is traveling the world. 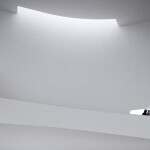 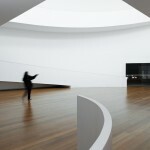 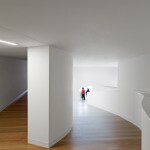 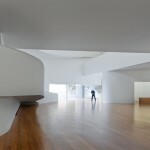 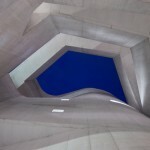 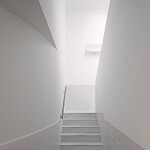 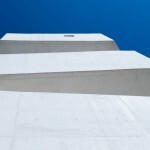 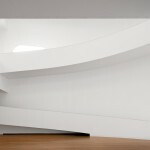 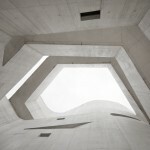 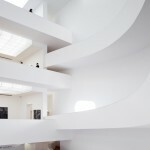 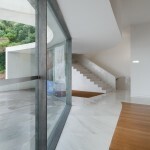 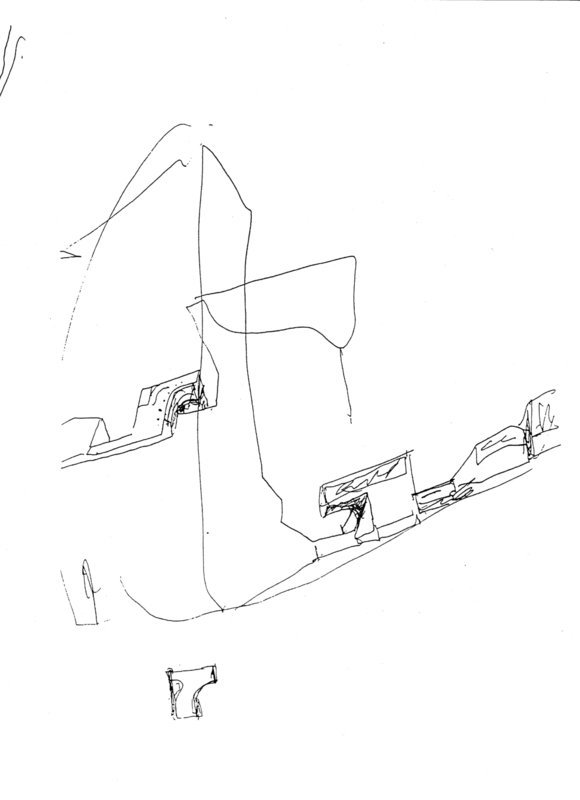 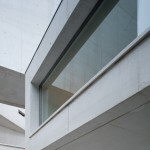 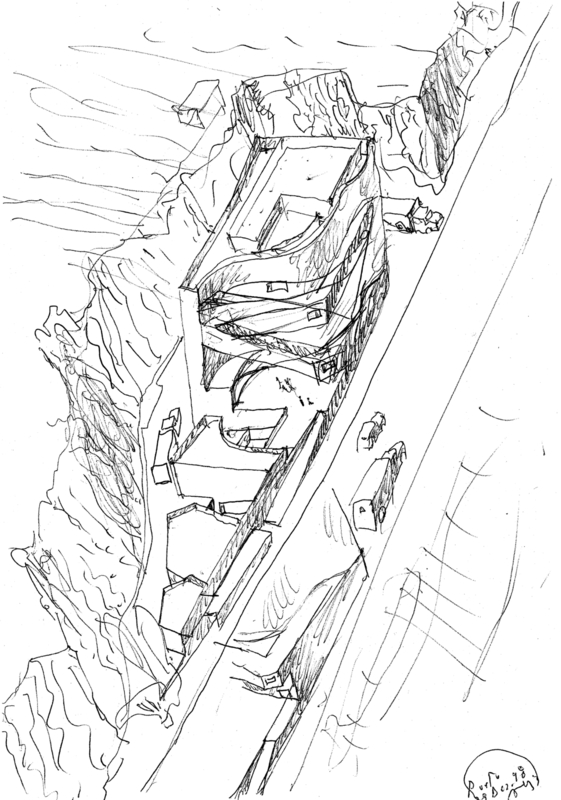 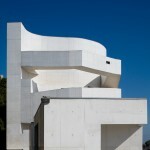 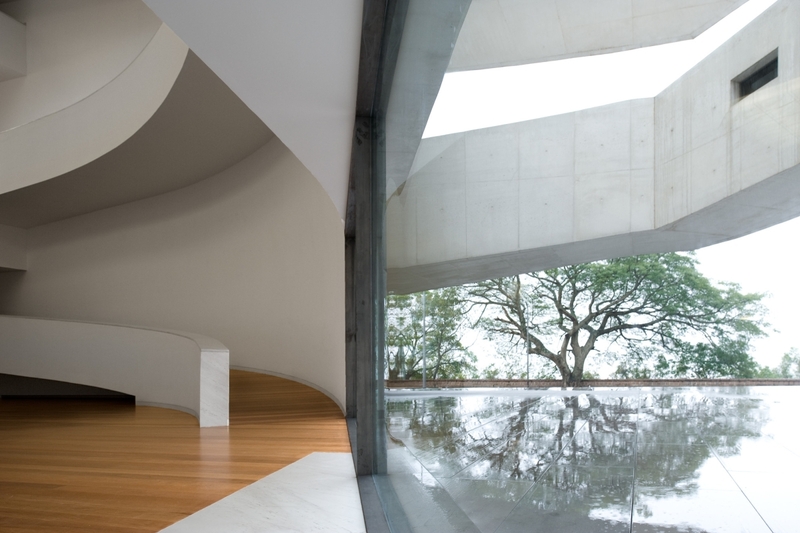 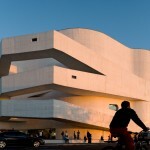 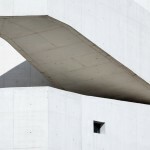 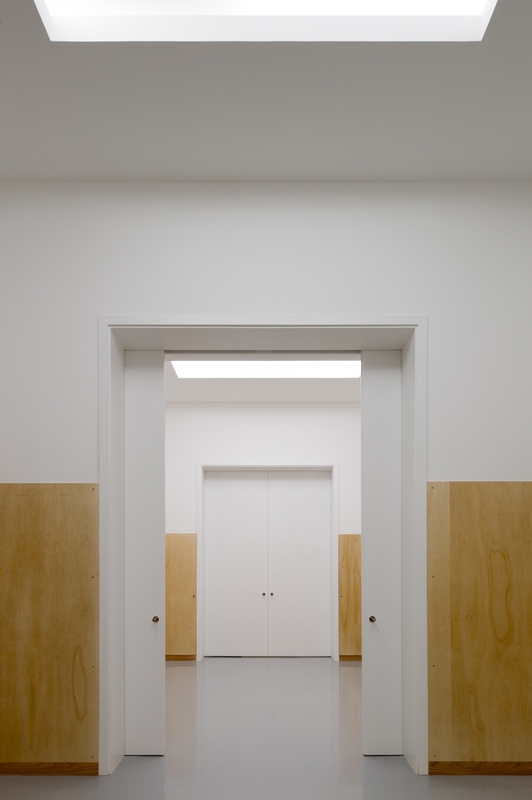 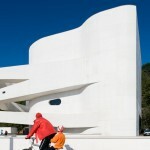 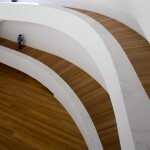 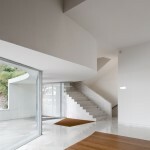 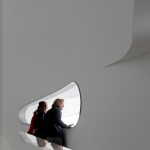 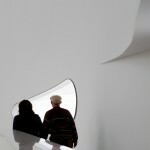 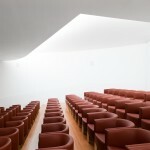 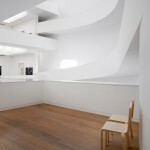 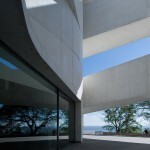 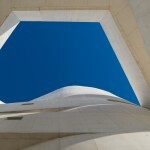 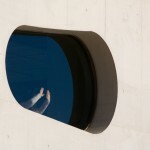 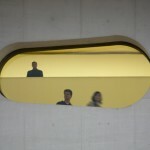 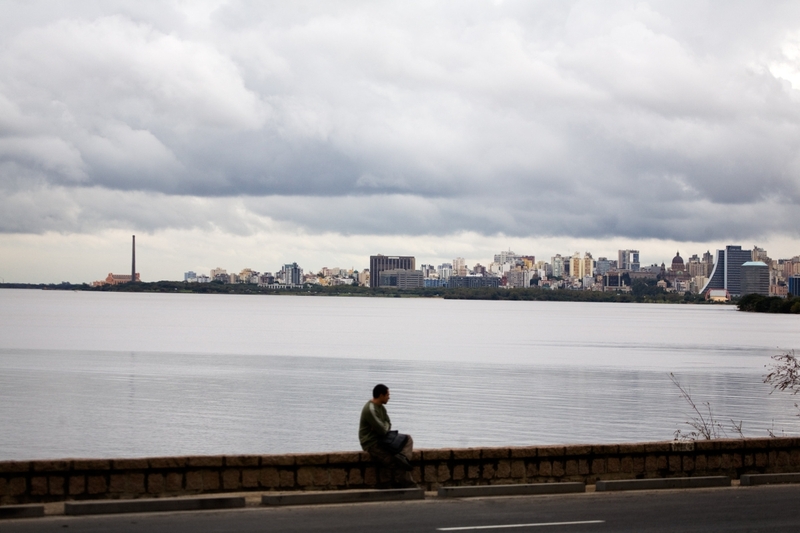 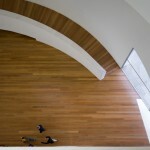 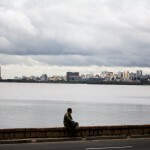 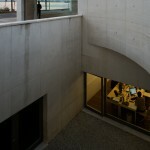 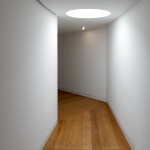 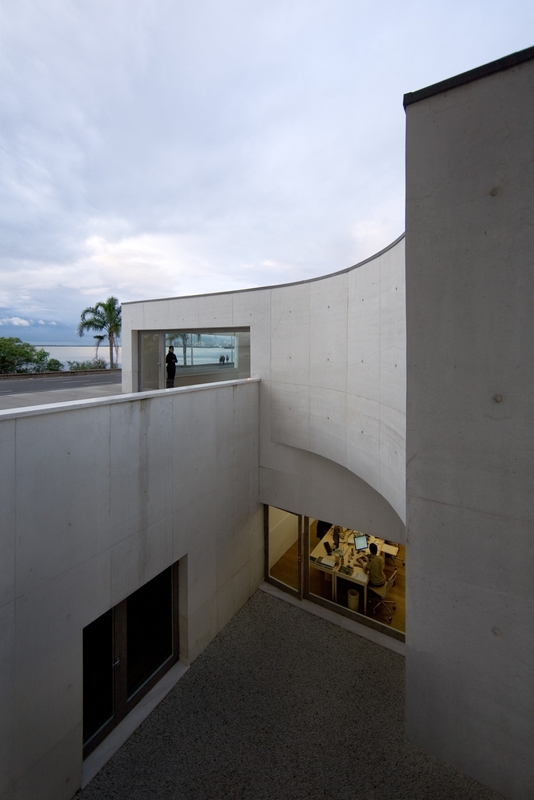 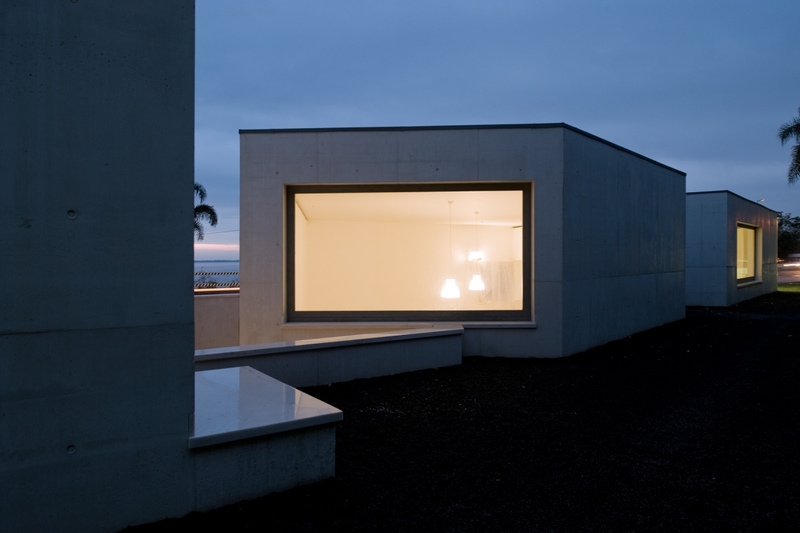 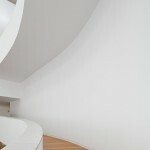 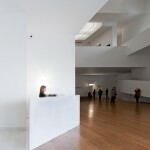 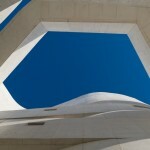 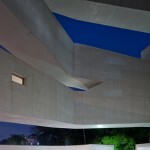 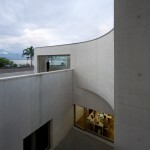 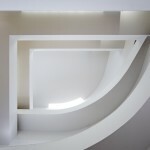 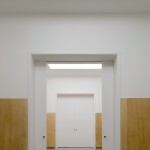 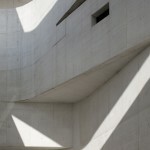 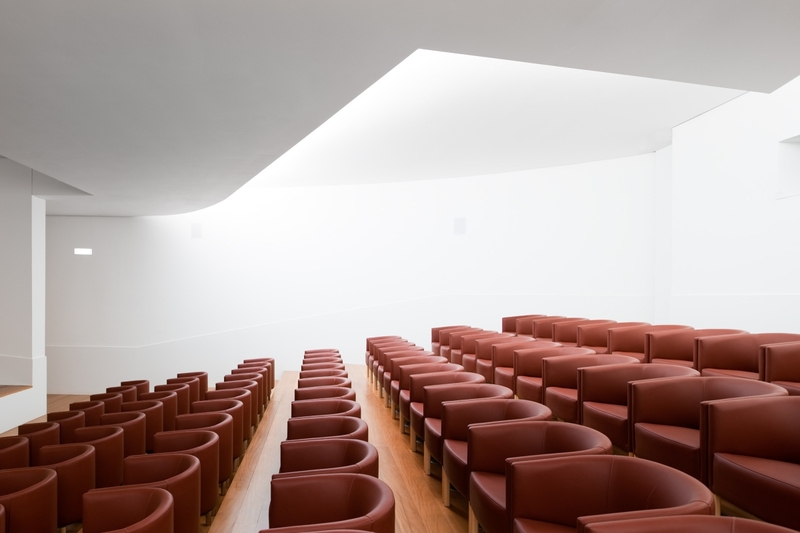 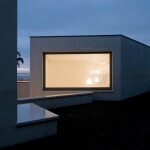 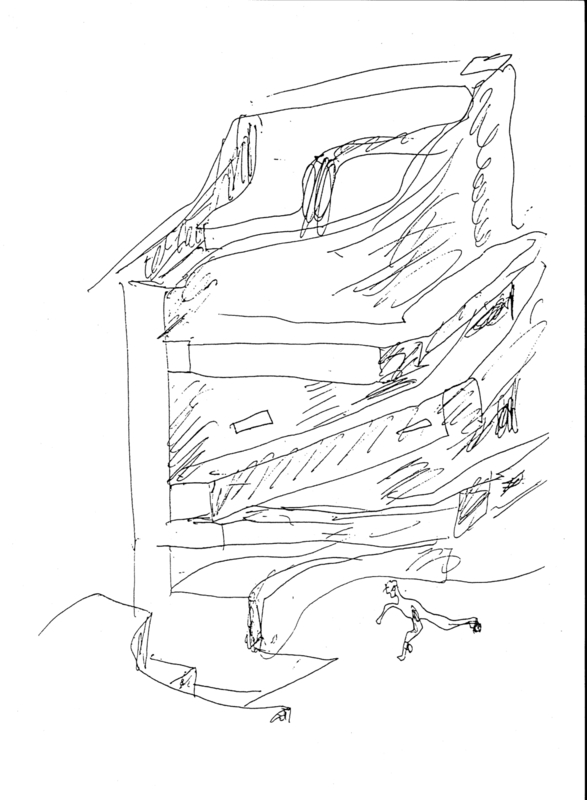 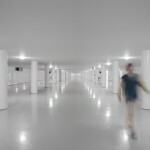 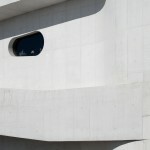 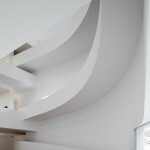 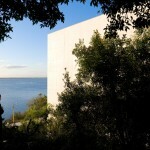 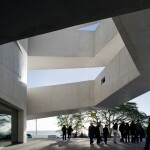 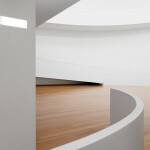 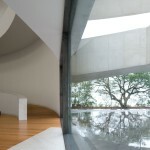 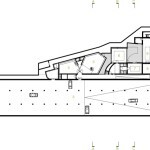 Cite this article: "Iberê Camargo Foundation / Alvaro Siza," in ArchEyes, March 15, 2016, http://archeyes.com/ibere-camargo-foundation-alvaro-siza/.